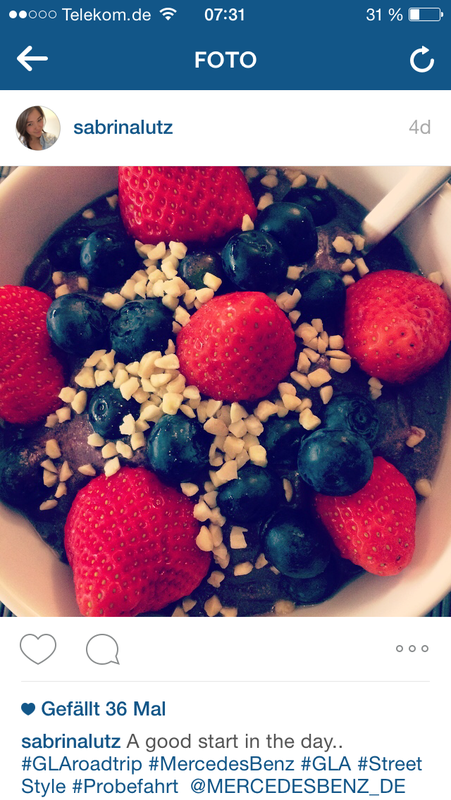 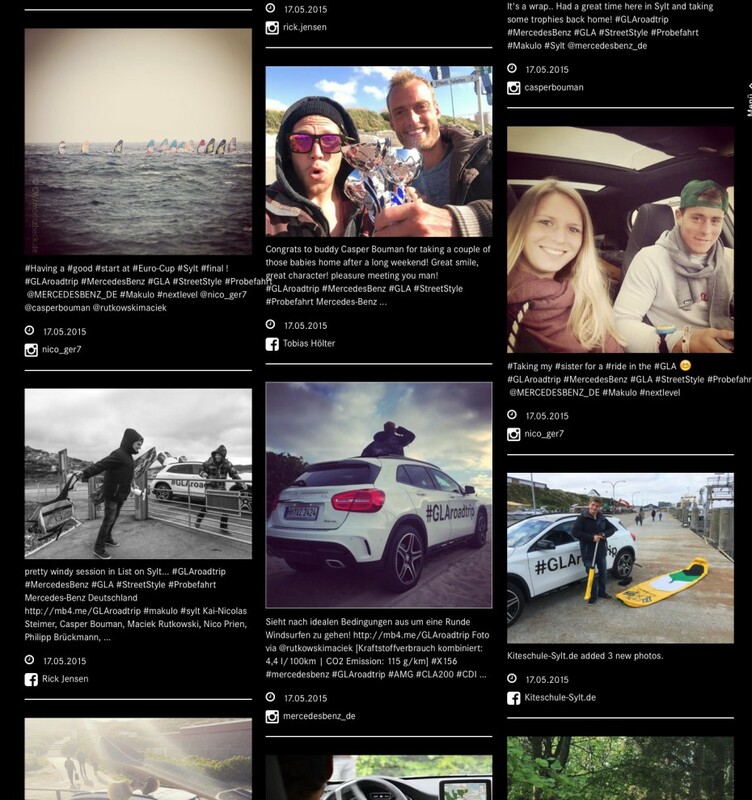 Creating a massive amount of social media content for the brand. 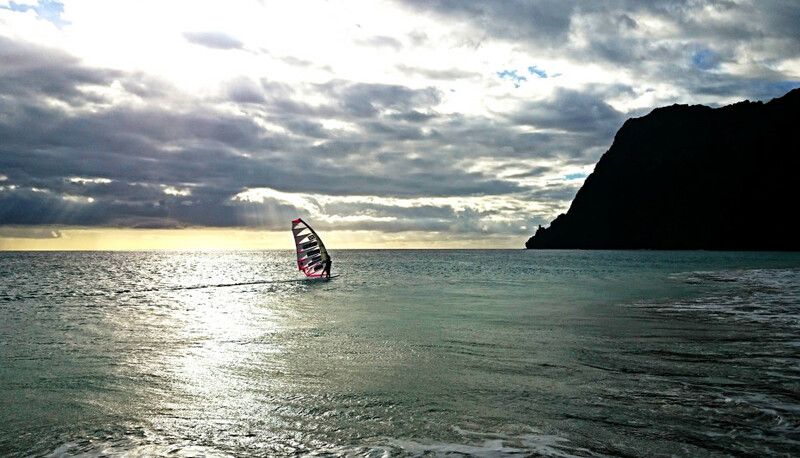 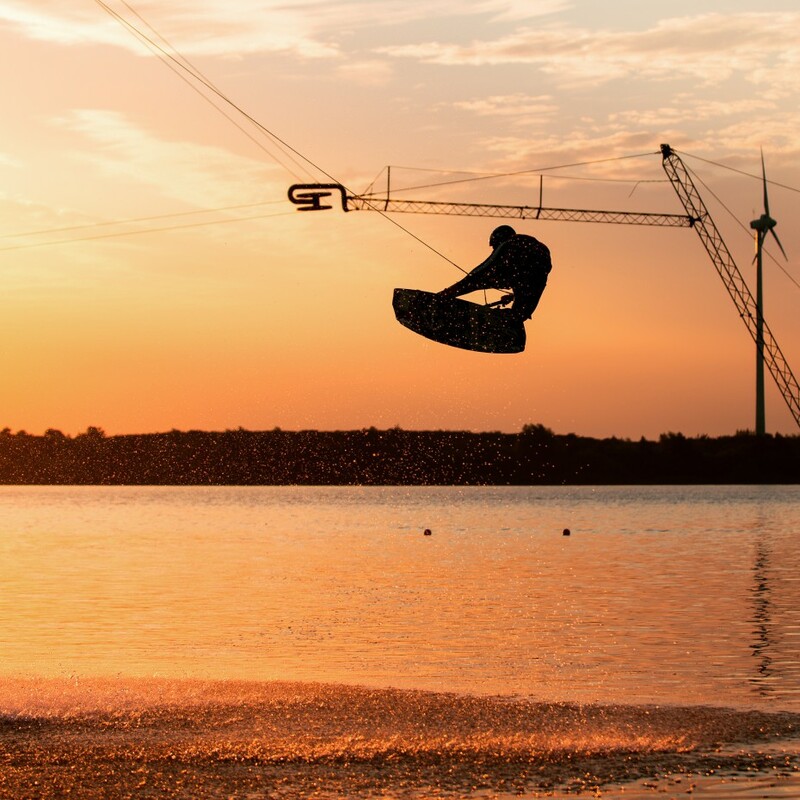 30+ athletes from a range of sports including wakeboarding, biking, skateboarding, kitesurfing, windsurf The Makulo project has finally kicked off! 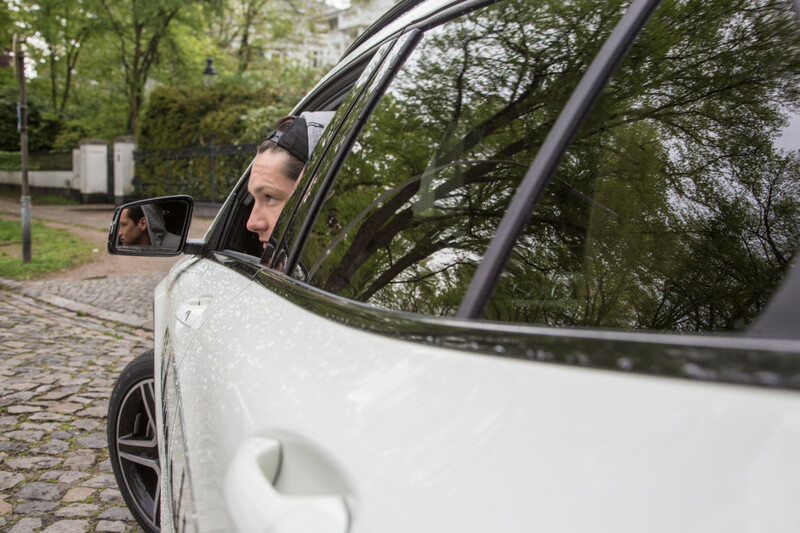 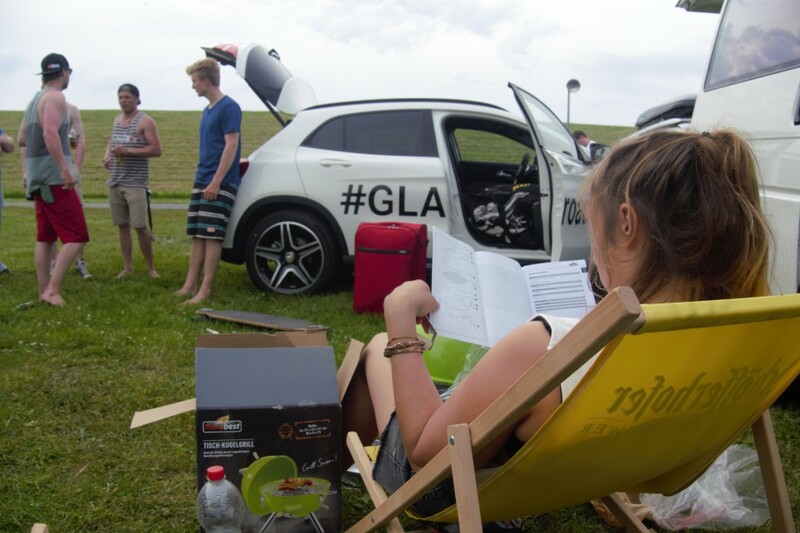 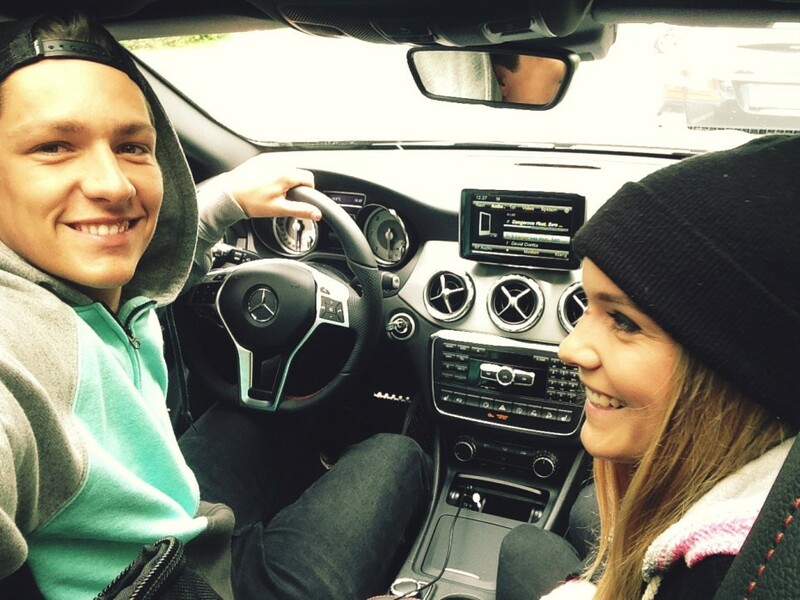 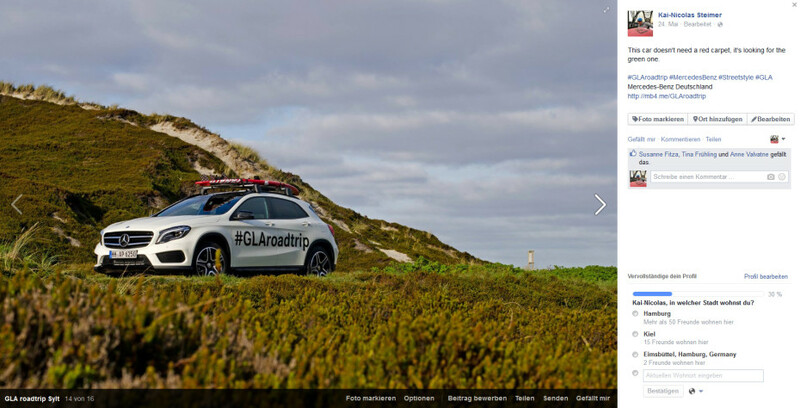 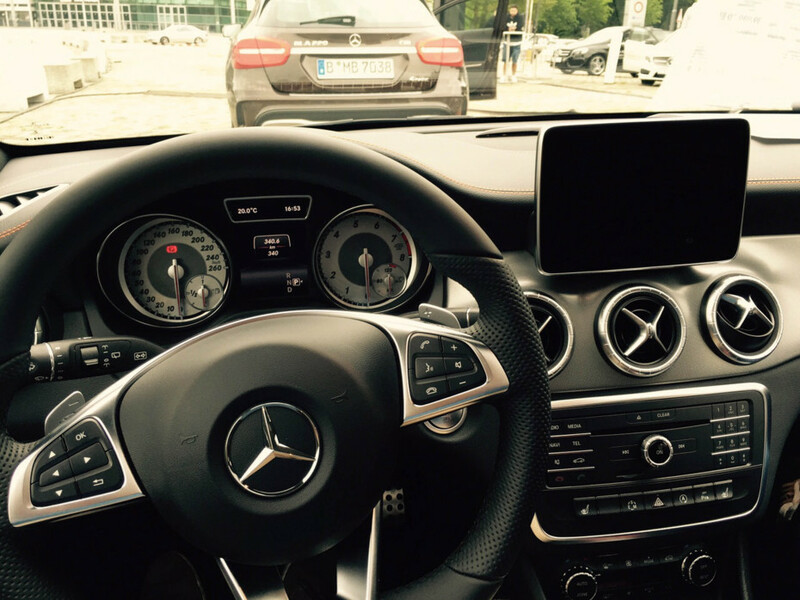 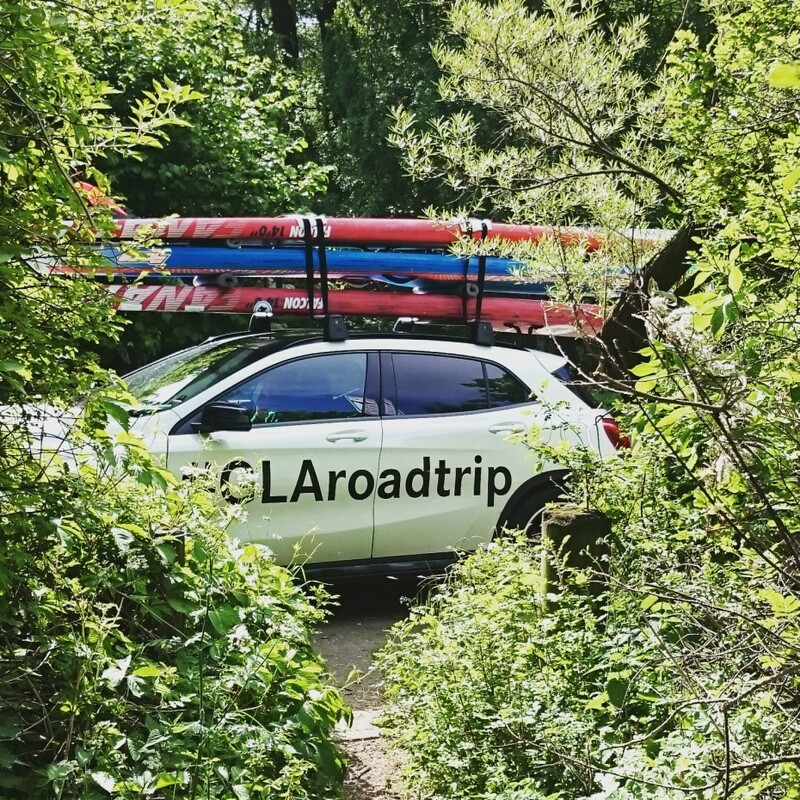 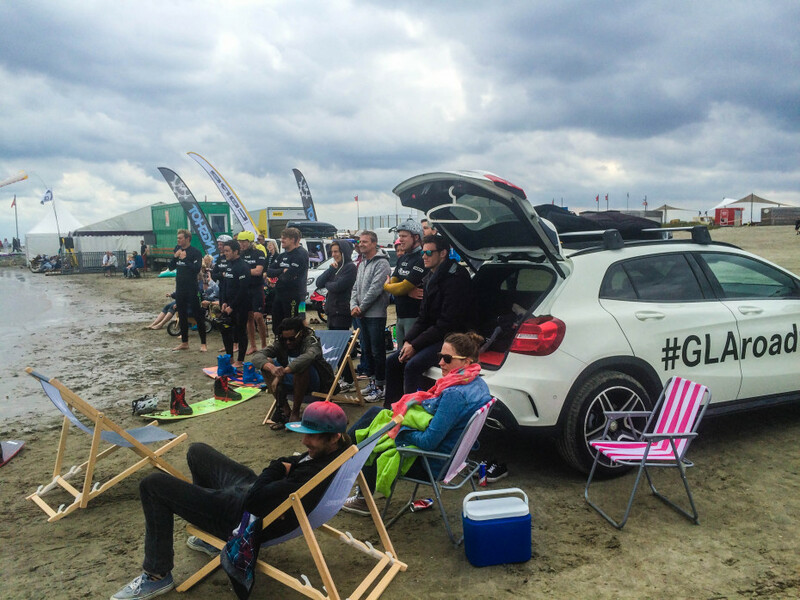 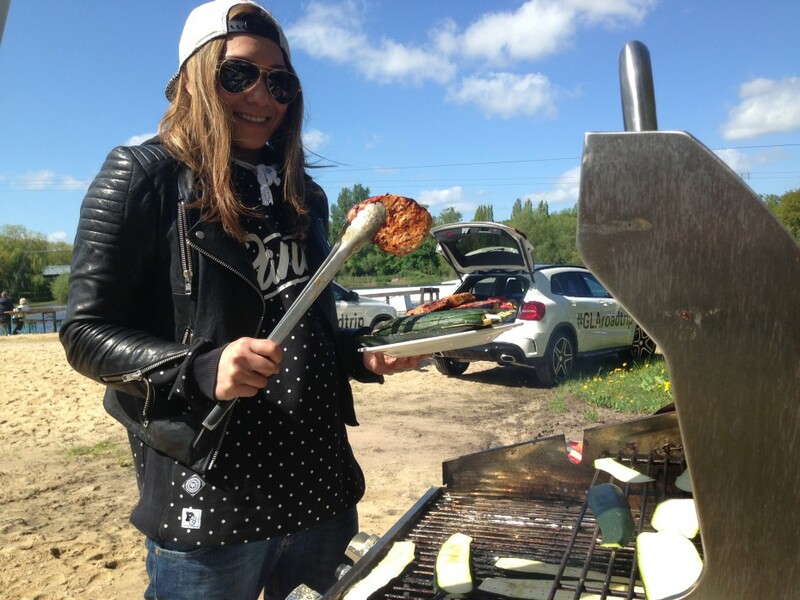 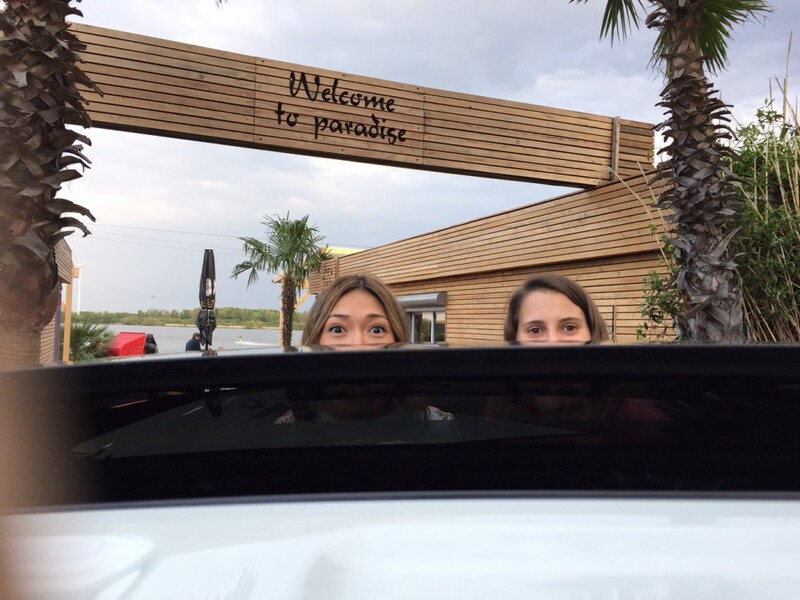 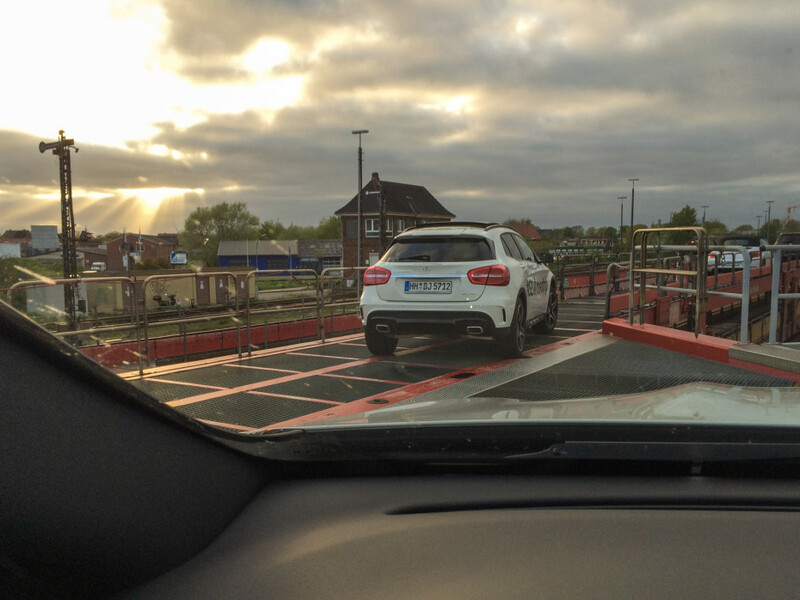 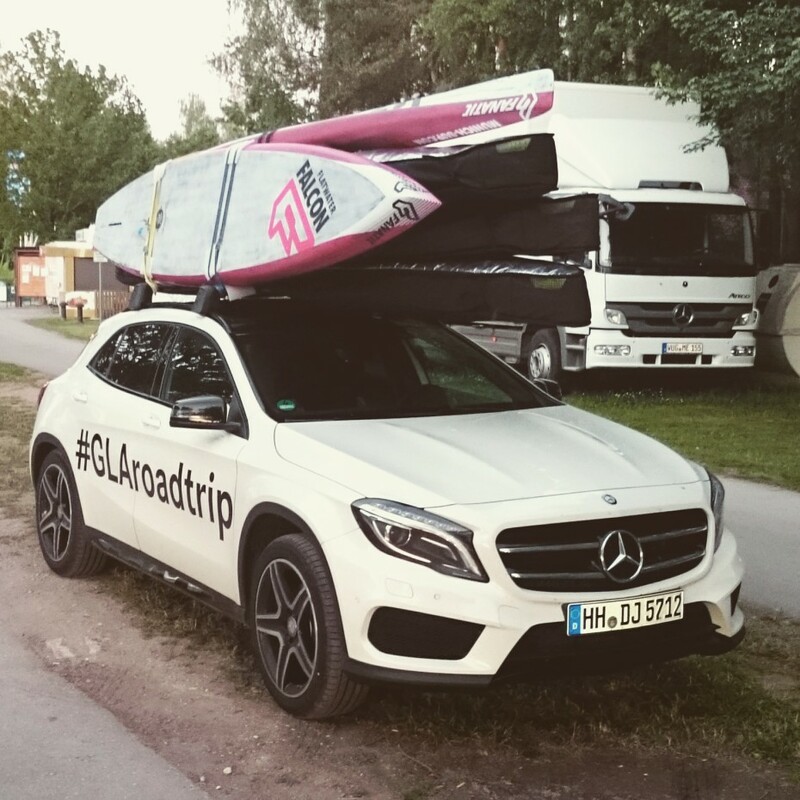 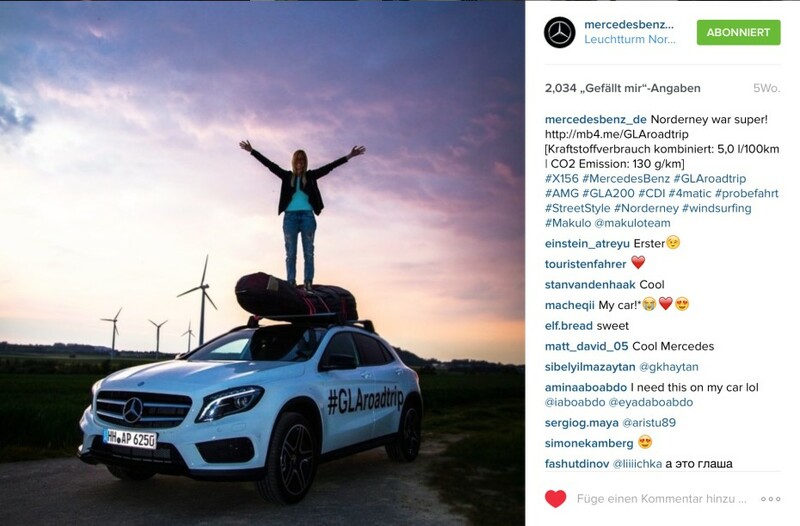 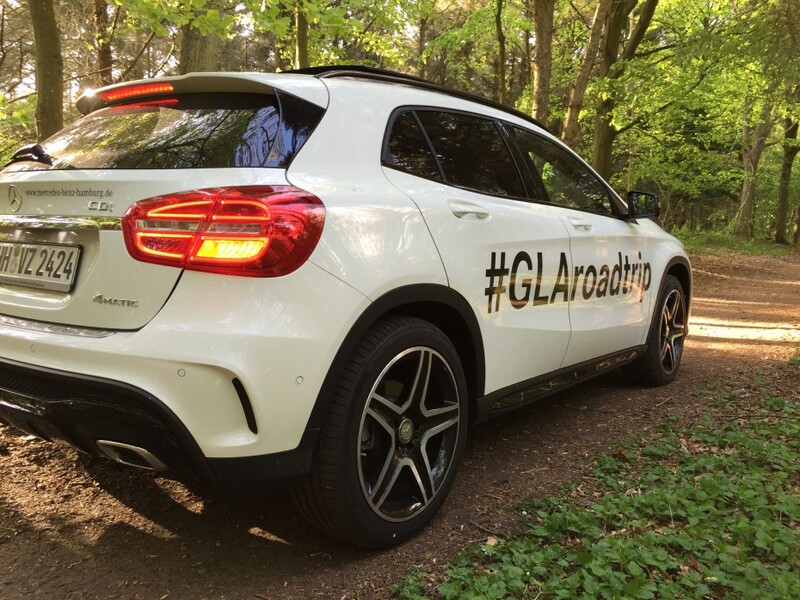 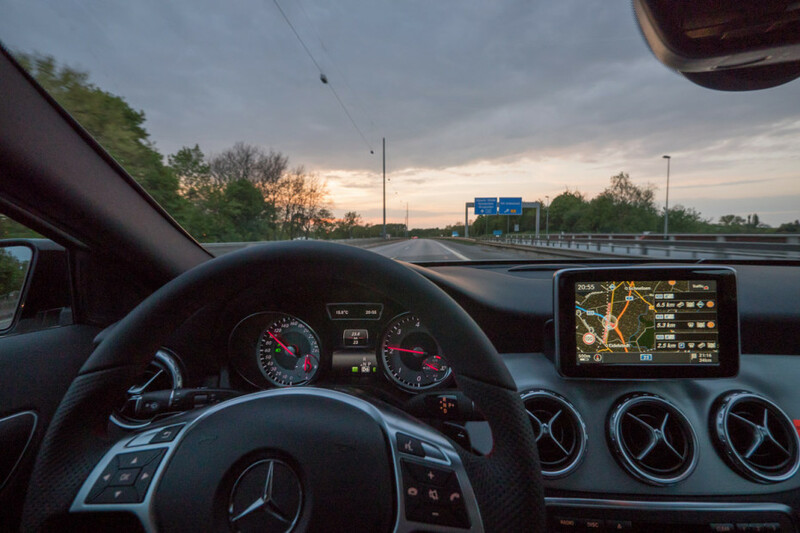 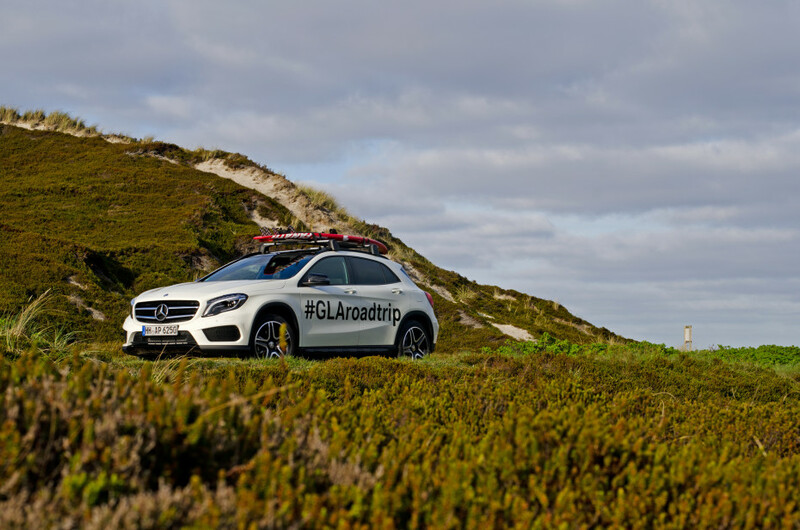 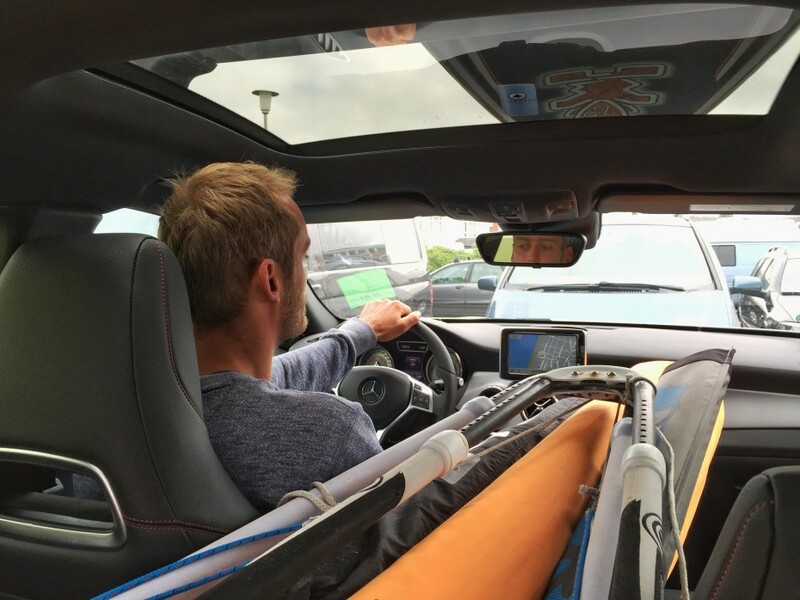 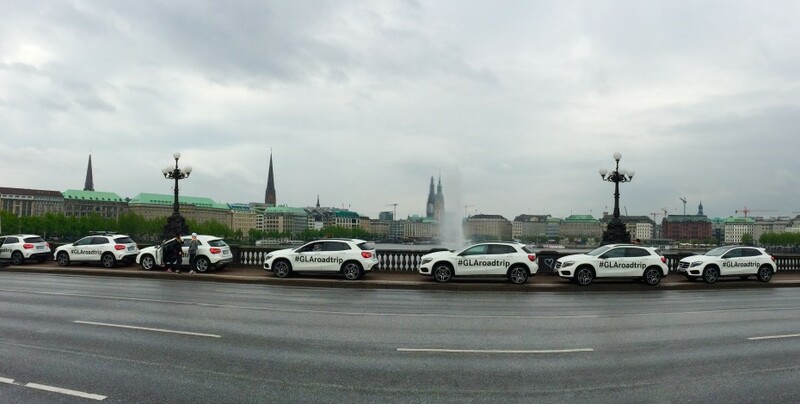 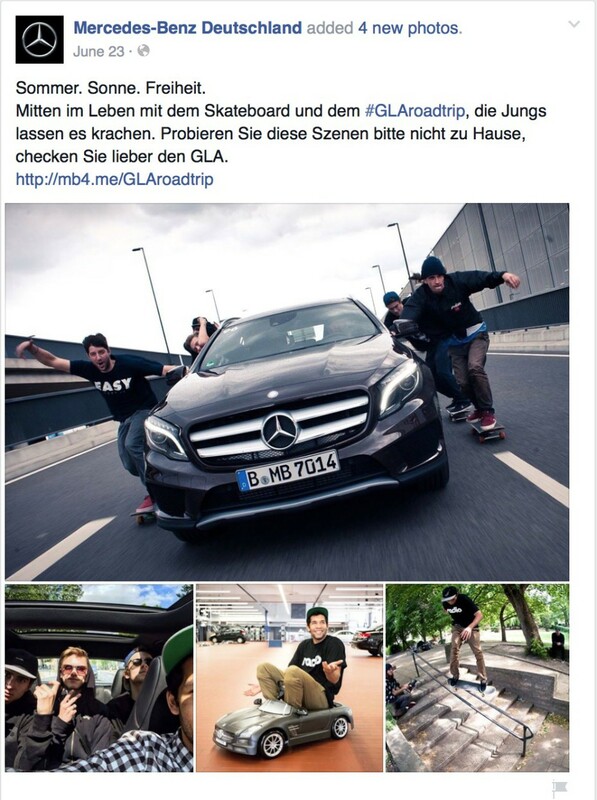 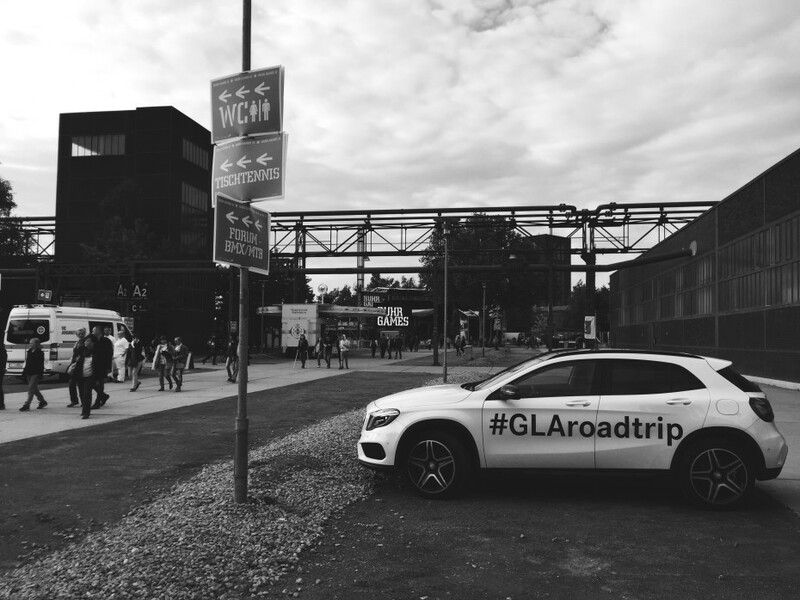 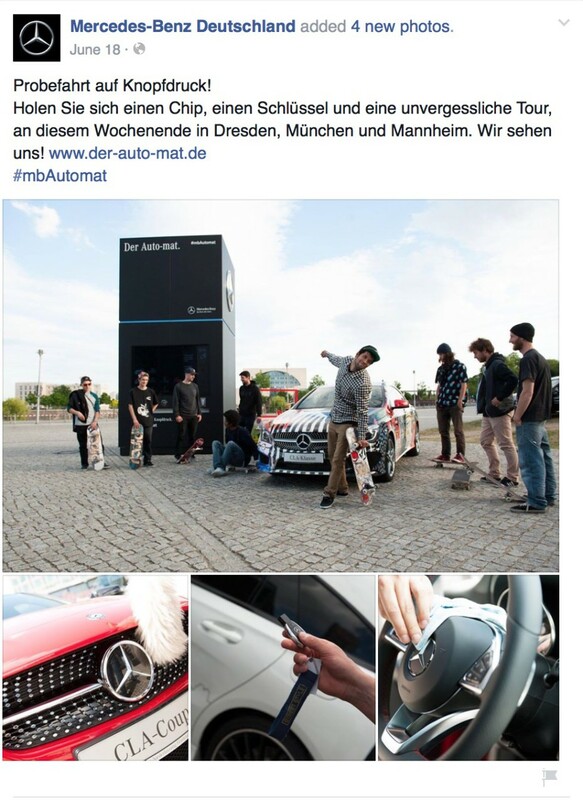 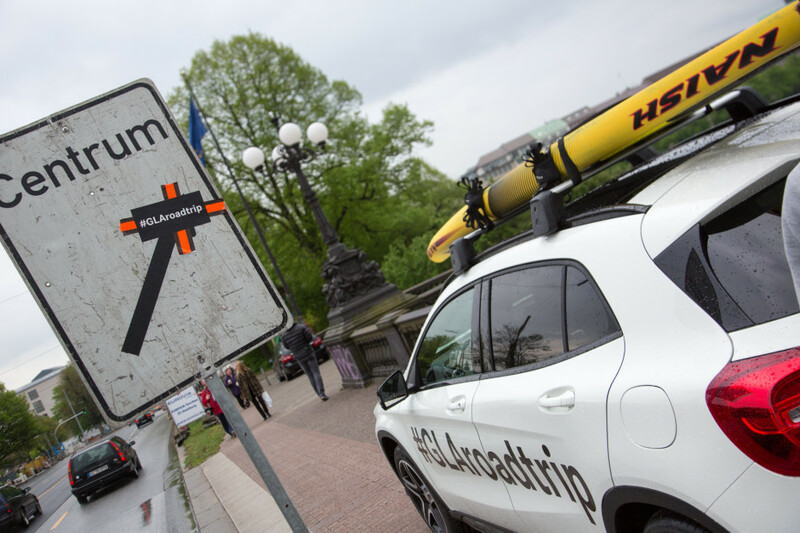 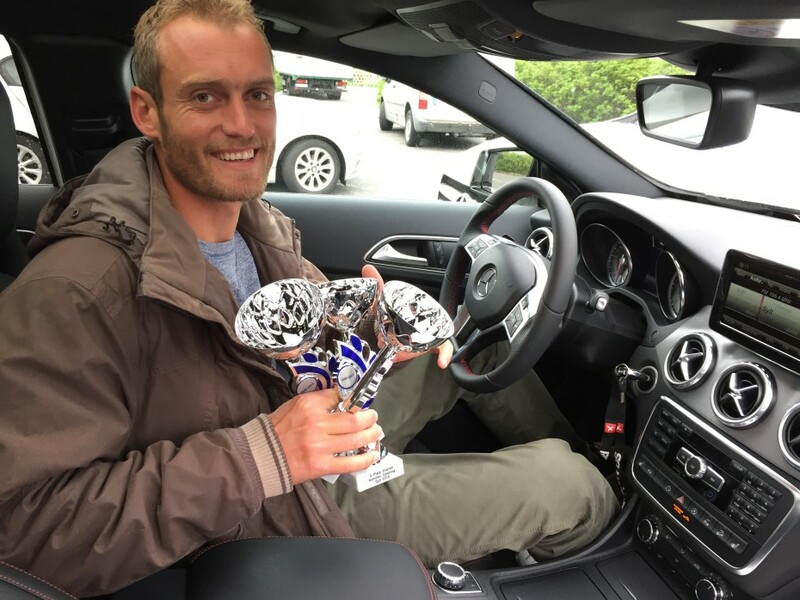 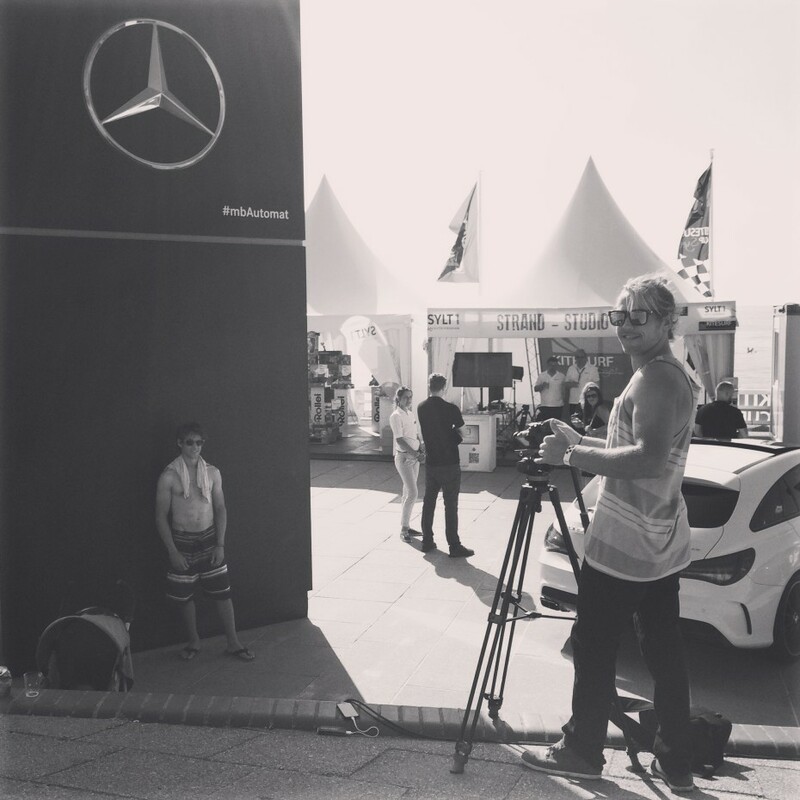 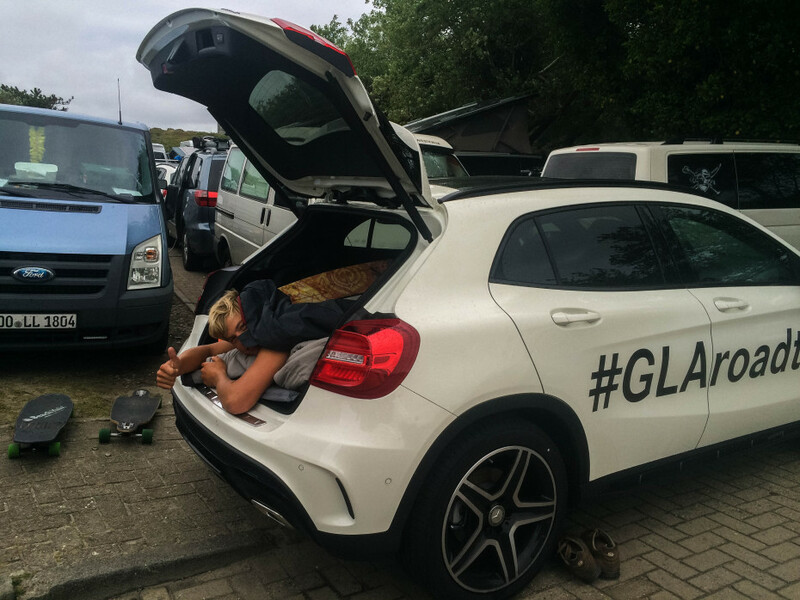 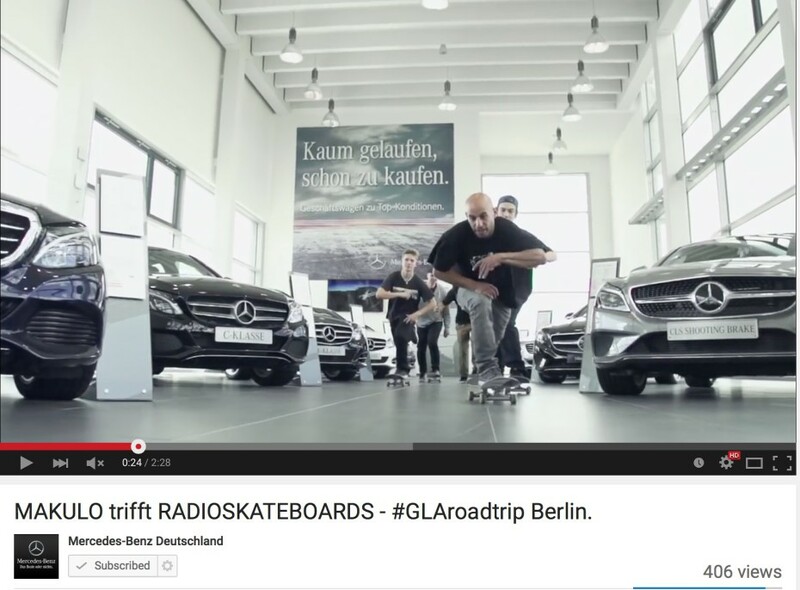 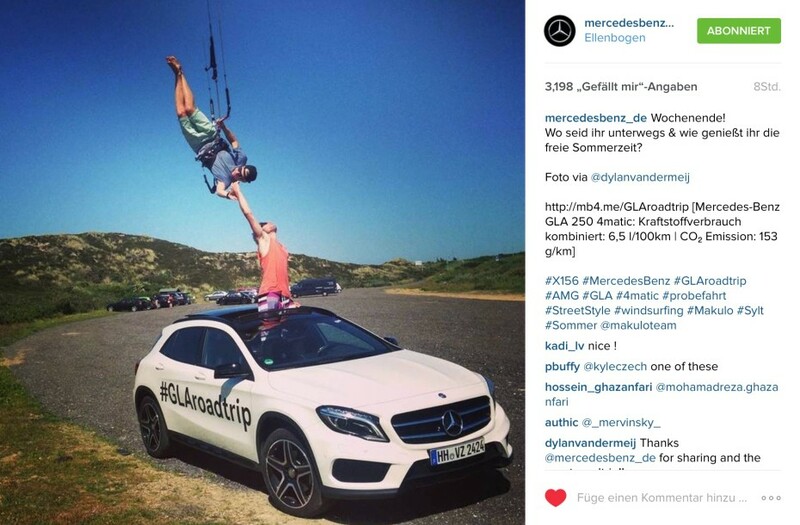 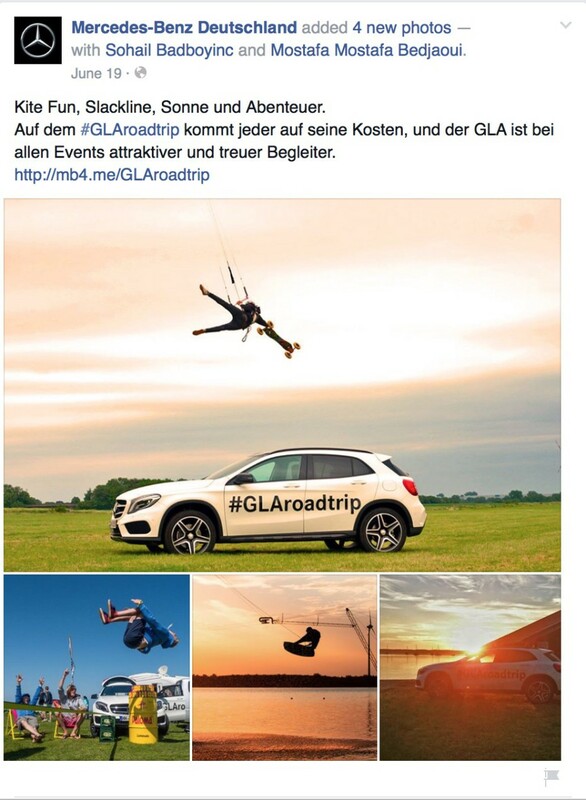 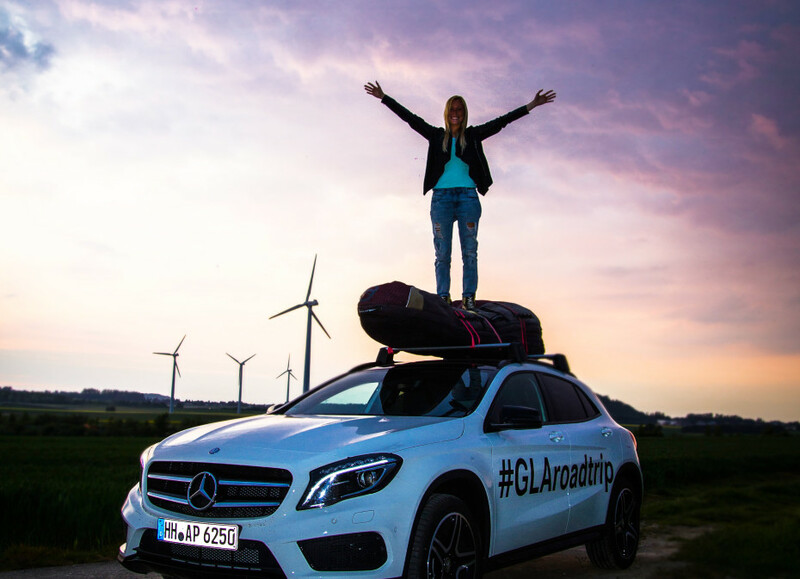 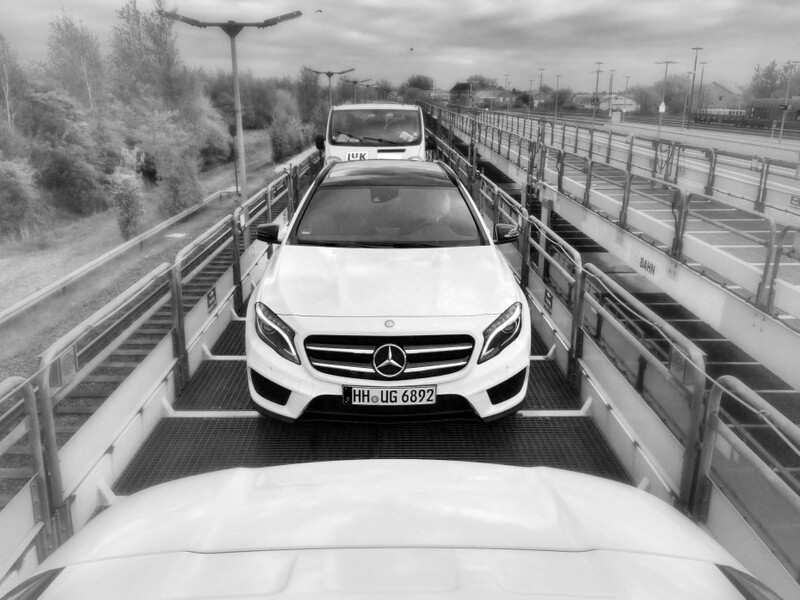 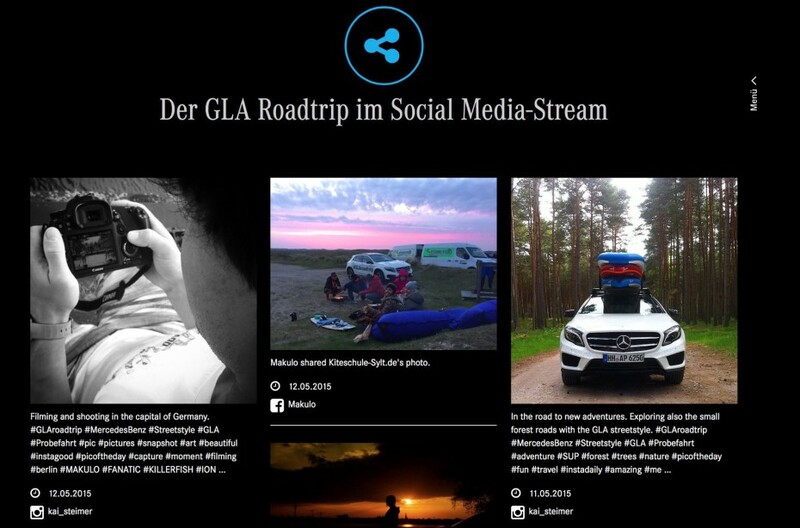 Partnered with Mercedes Benz DE, the crew of action sports athletes is cruising around northern Germany in the new GLA Streetstyle edition, stand up paddle, motocross and the list goes on come from the Makulo athlete database and are deployed to events across the country. 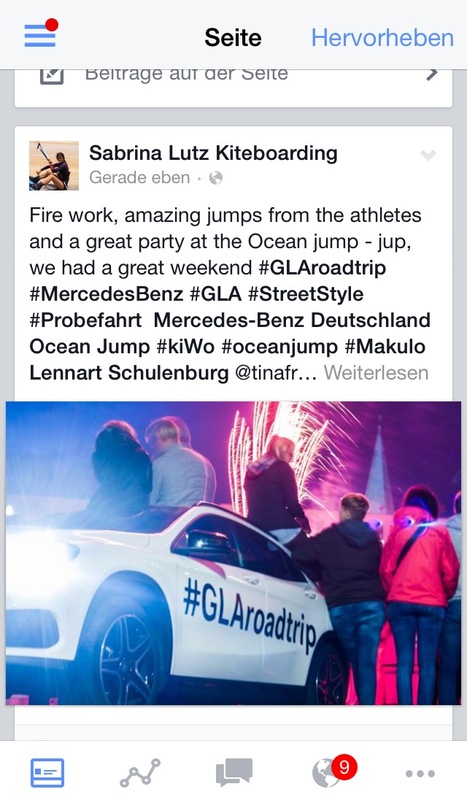 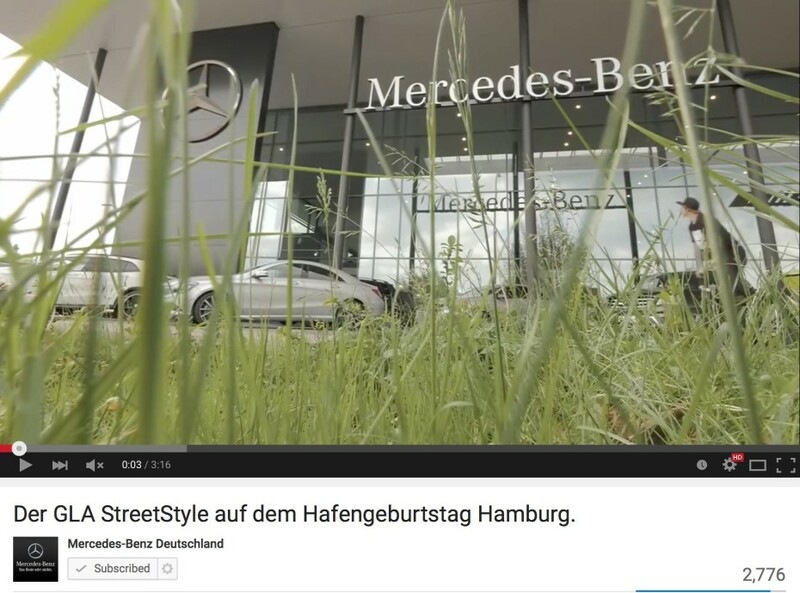 The first event the riders hit up was the Hamburg Harbour Birthday. 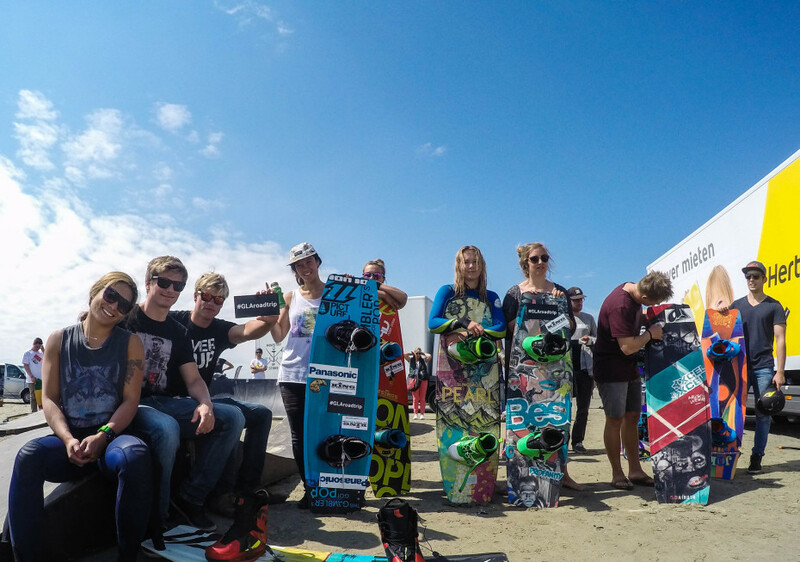 The Makulo team was 14 deep, they picked up their vehicles, met up for a quick creative meeting and then put on some demos for the crowd. 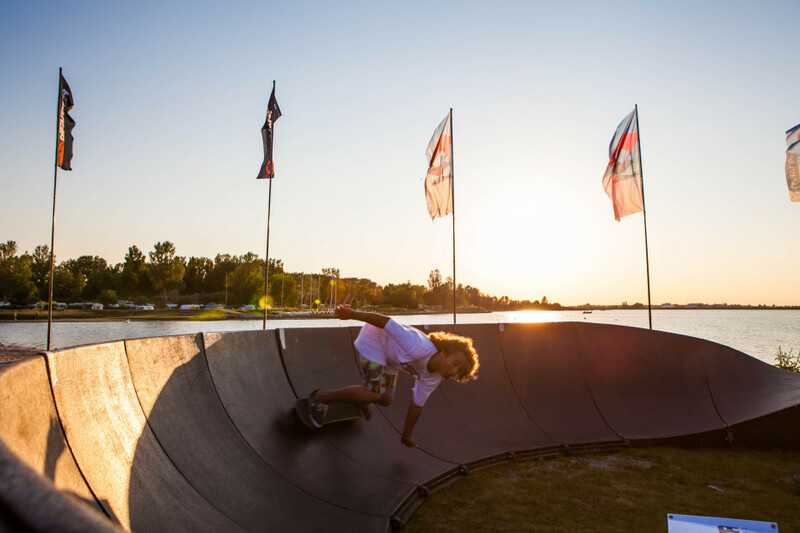 After spending some hours enjoying the Harbour Birthday the athletes took off to have some sessions around the city and dive into their pool of content creation. 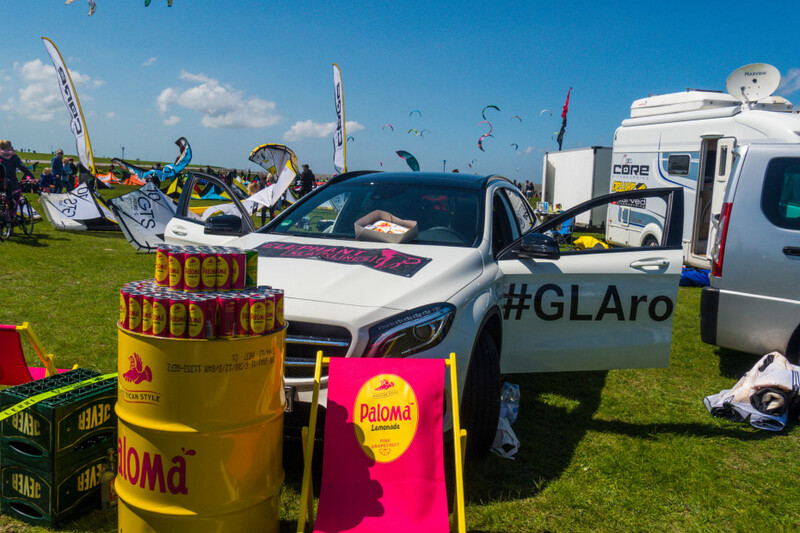 Every week, until the end of June the Makulo team will be all over the country, keep an eye out for the GLA’s at your local events! 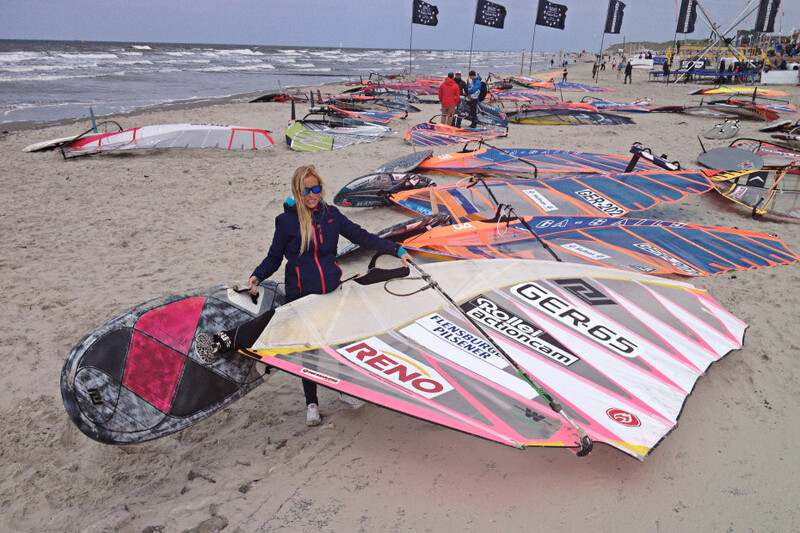 The next stop for the Makulo team was Sylt. 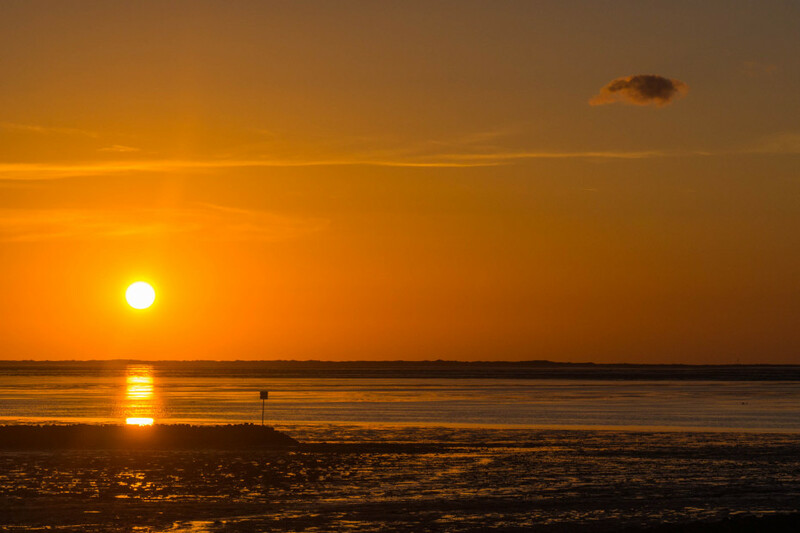 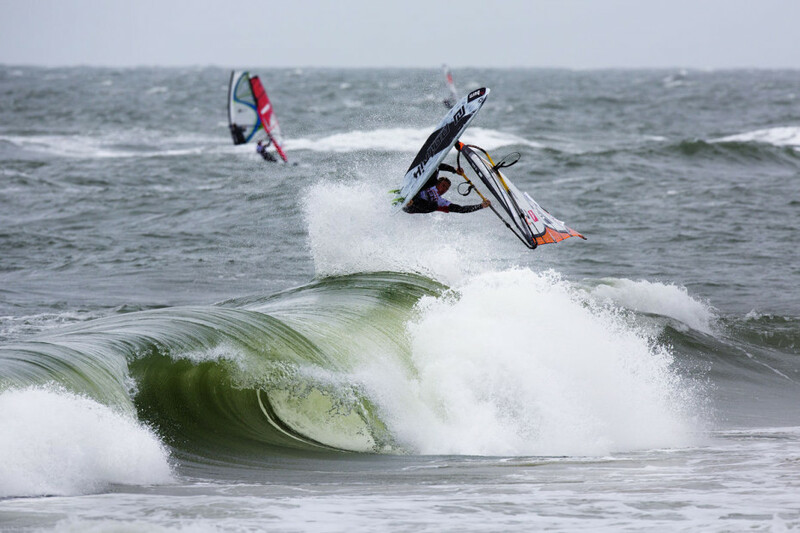 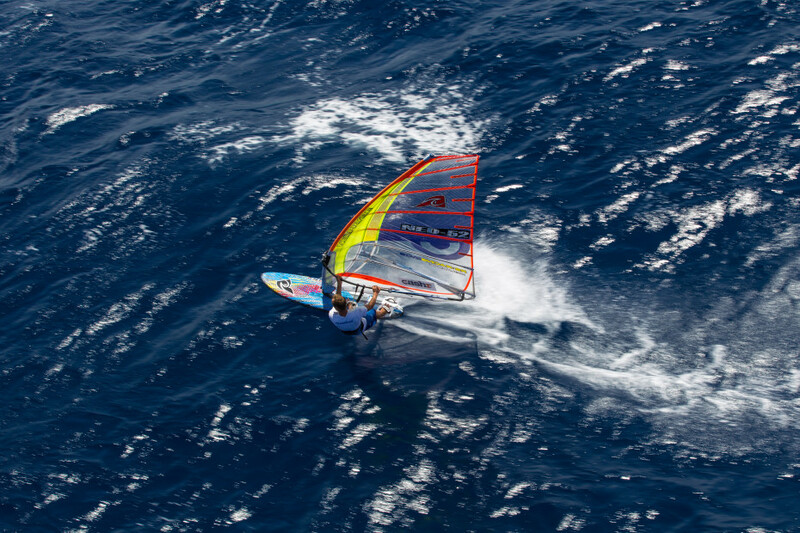 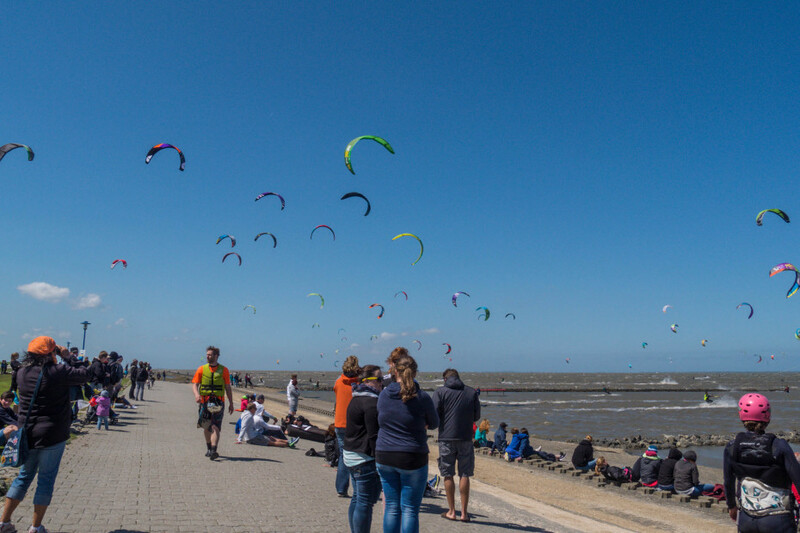 The Summer Opening for the Windsurf season in Germany! 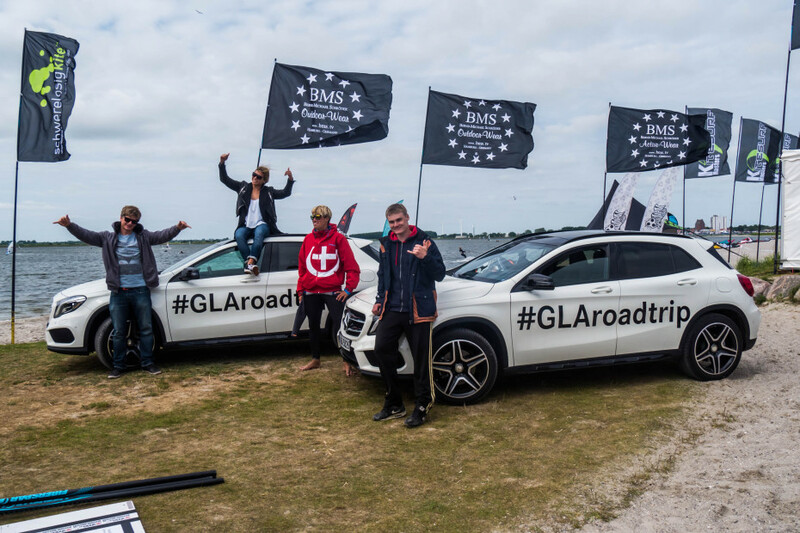 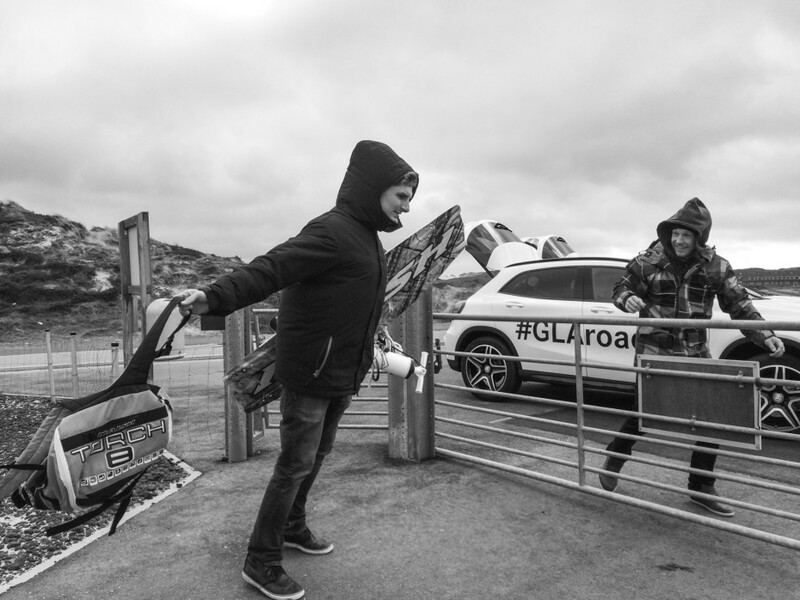 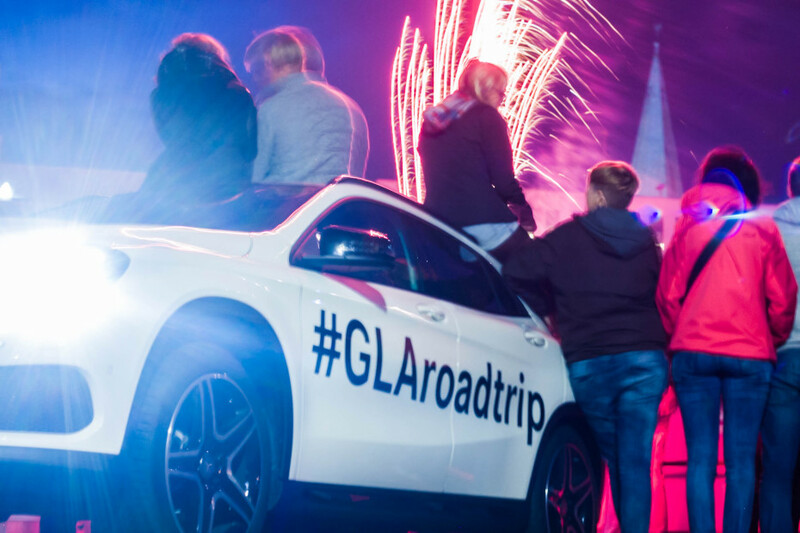 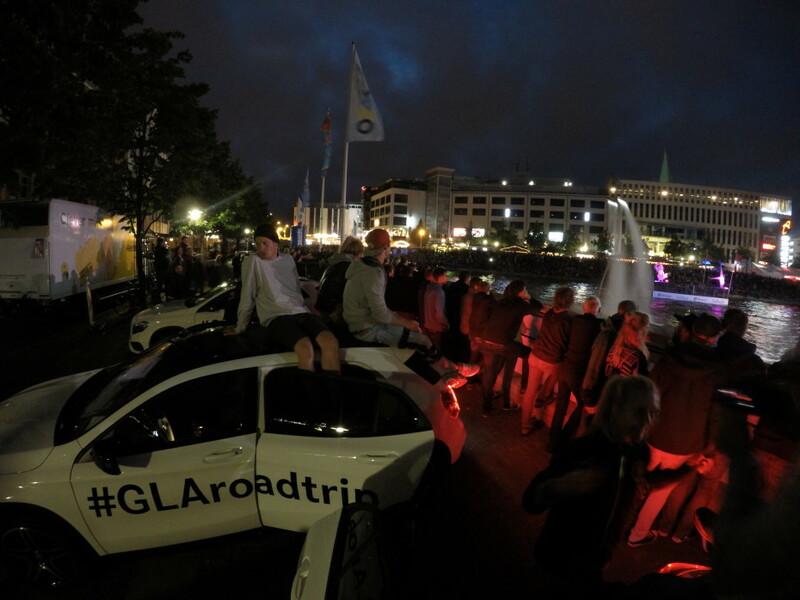 The crew rolled up in style with the #GLAroadtrip branded SUV’s and even though the weather was cloudy and cold that didn’t stop the riders from heading straight to the water! 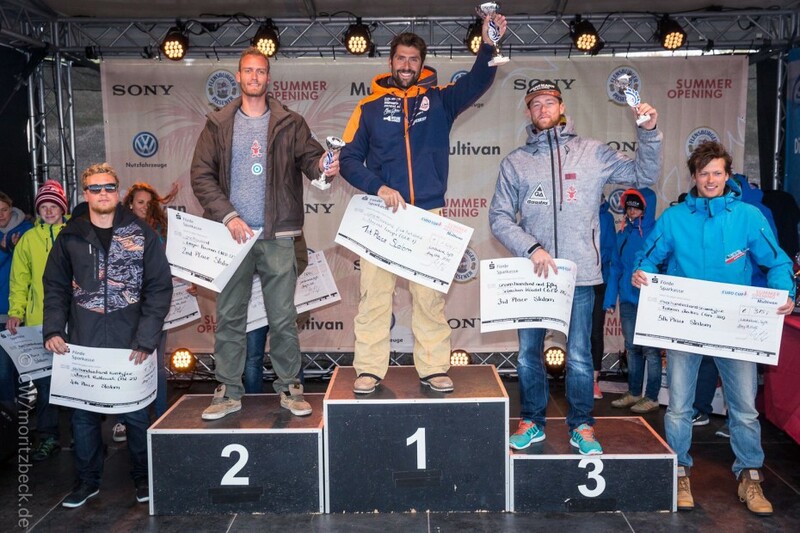 After a weekend of mixed conditions it was great to see Makulo Team rider Casper Bouman taking 2’nd in Slalom and 3’rd in Course Racing. 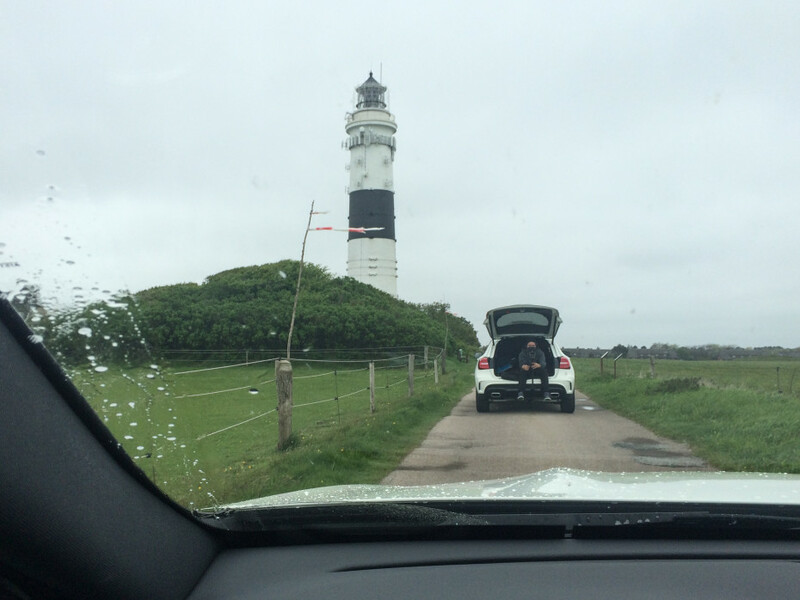 Next stop on the Map was Norderney! 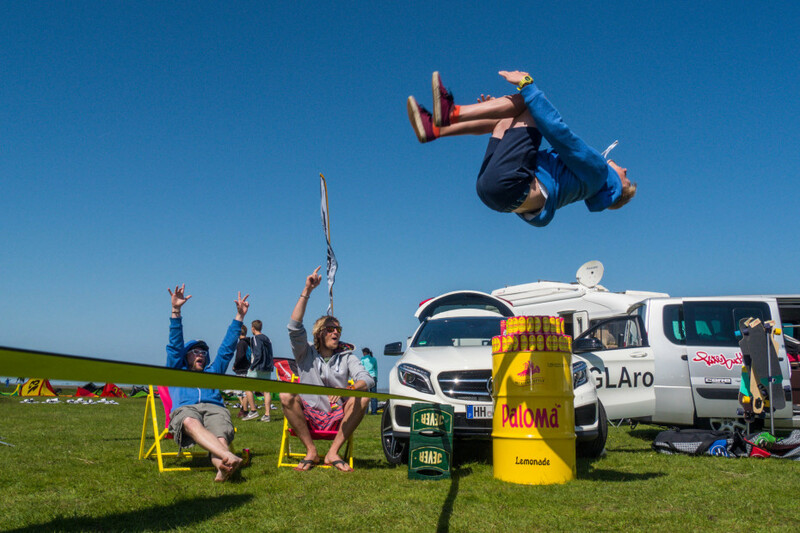 Whit sands Festival was kicking off. 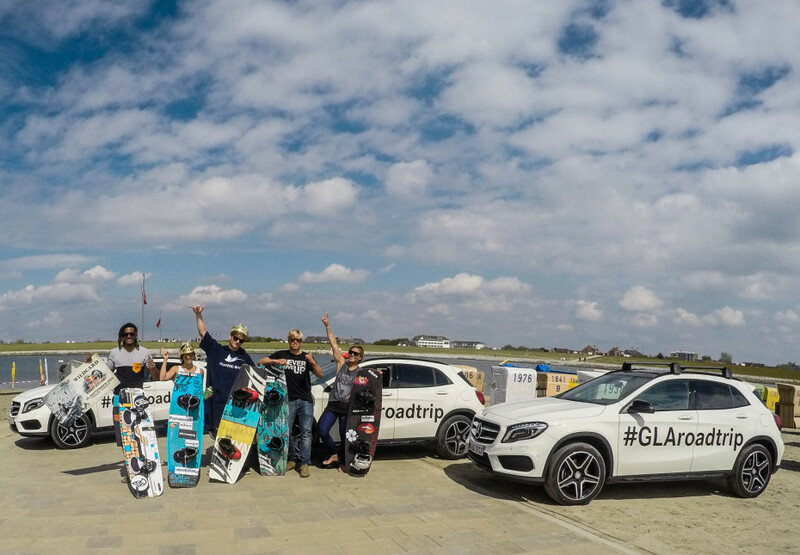 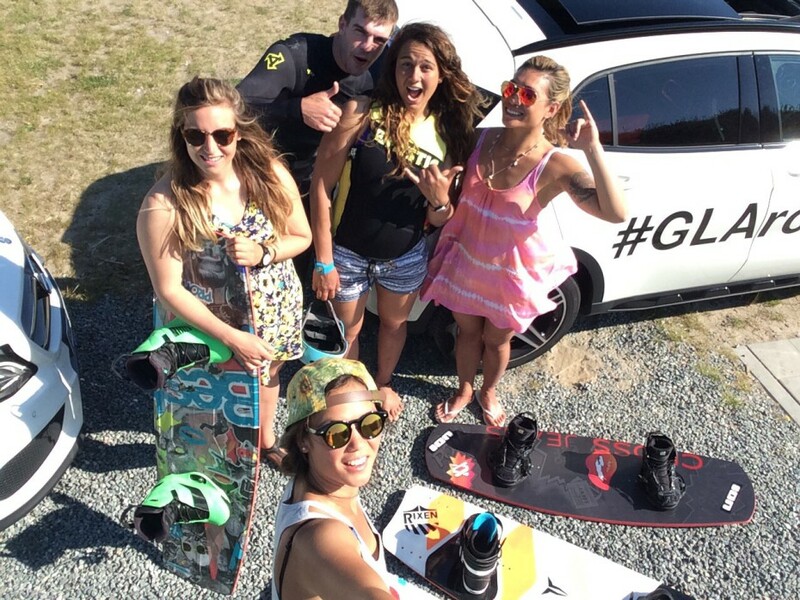 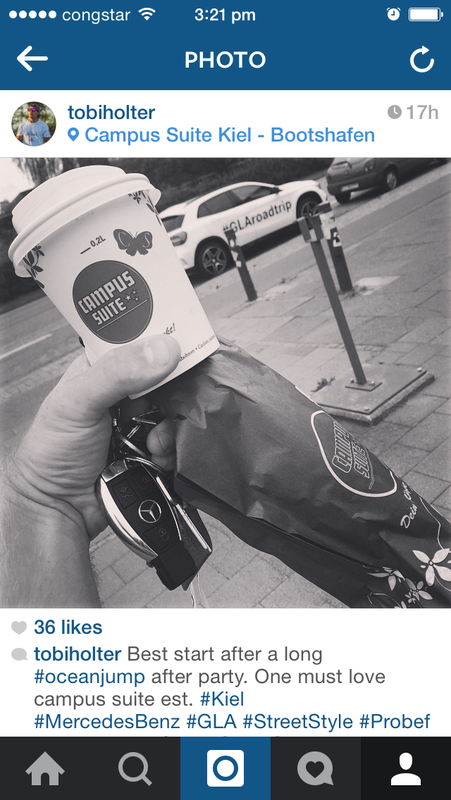 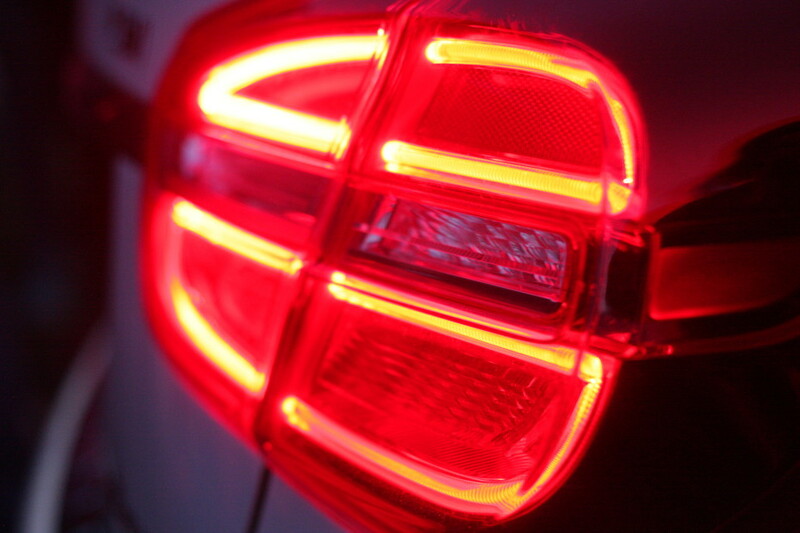 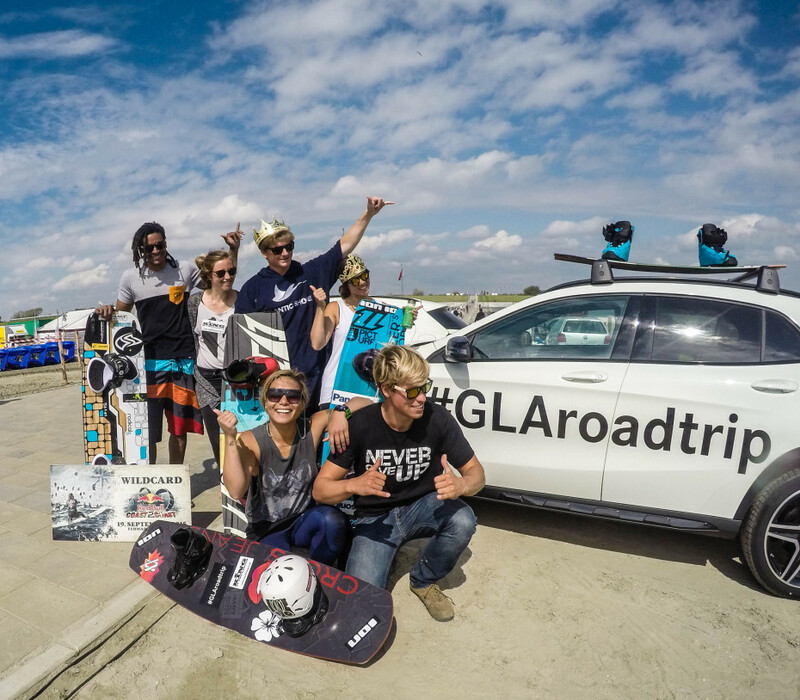 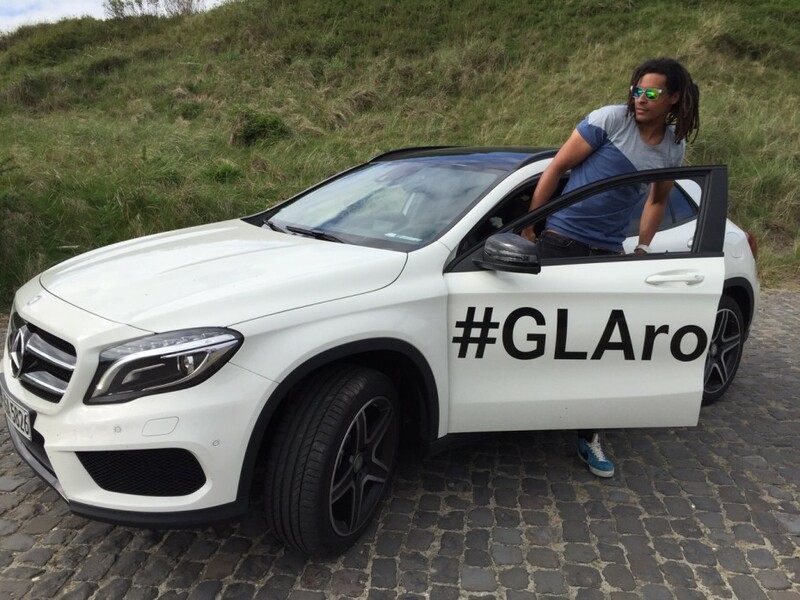 The new team riders were stoked to get their GLA’s and head out on the road! 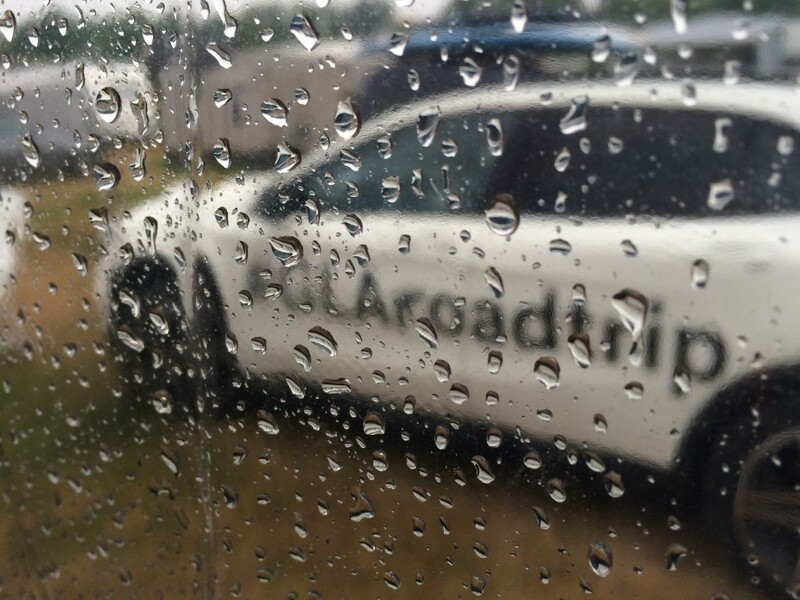 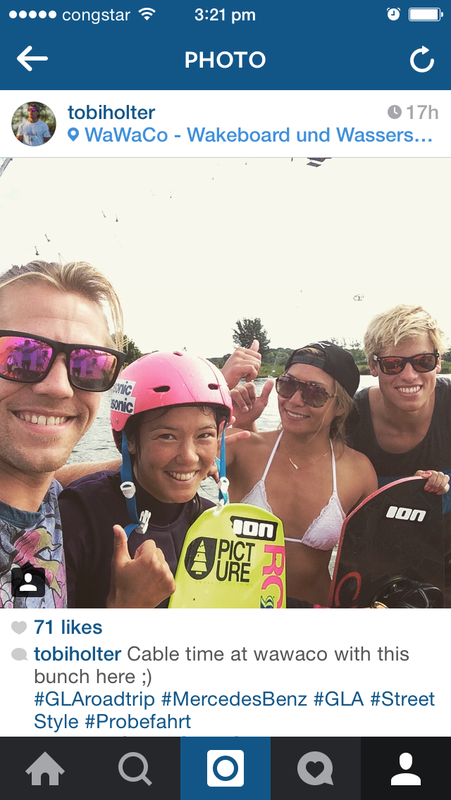 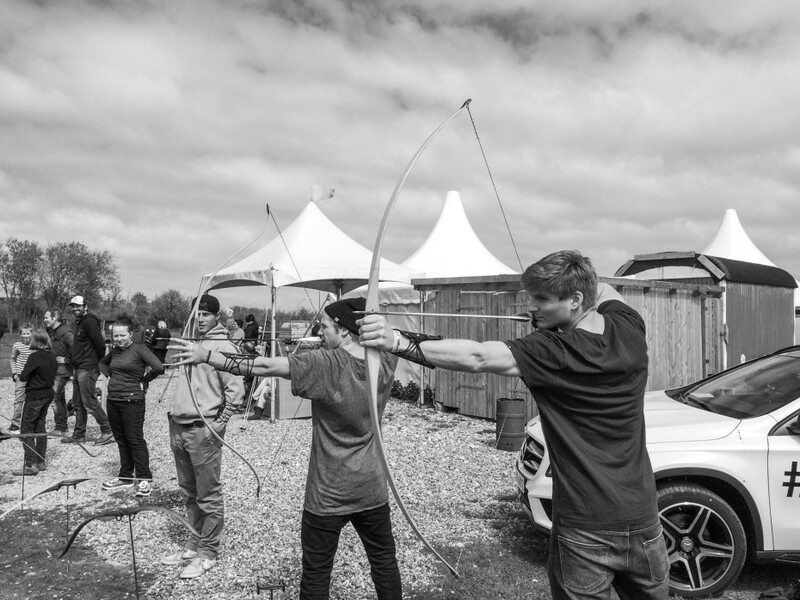 Chantelle, Lennart, Lucca, Emmanuel and Roderick were busy all weekend creating media and keeping active! 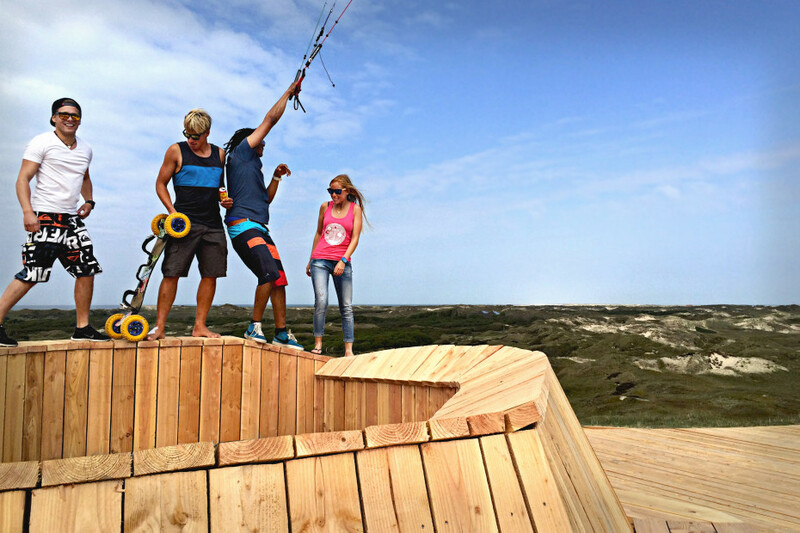 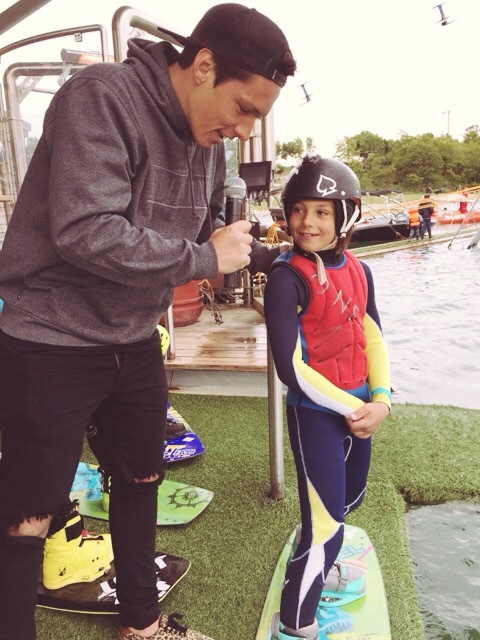 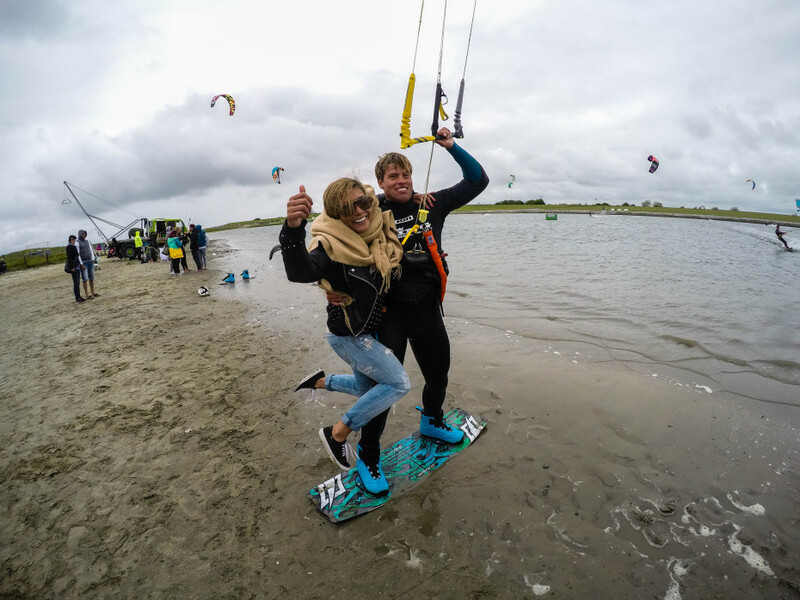 Windsurf, skate, kitesurf and even kiting with a landboard, the Makulo crew got into lots of different activities in Norderney. 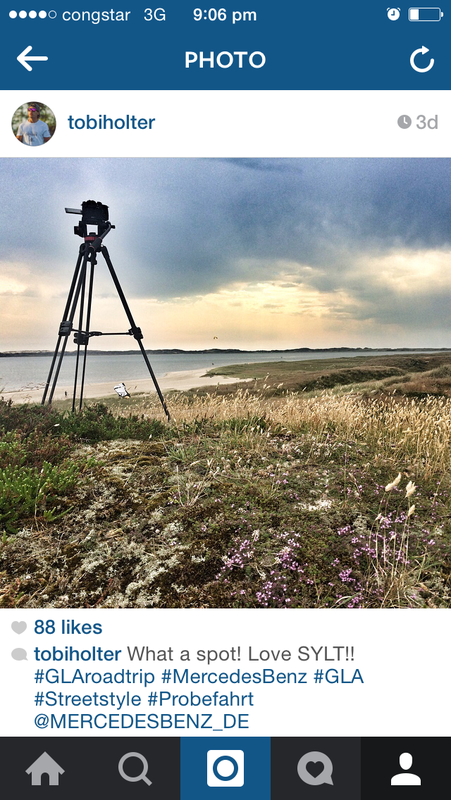 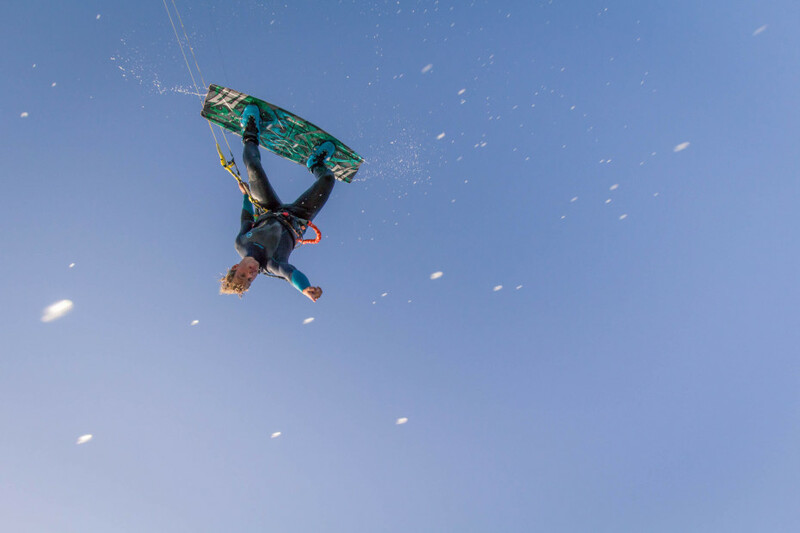 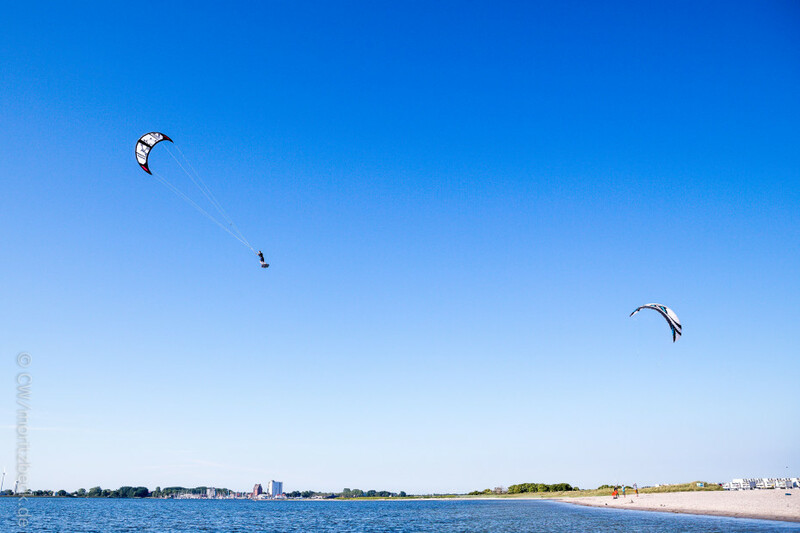 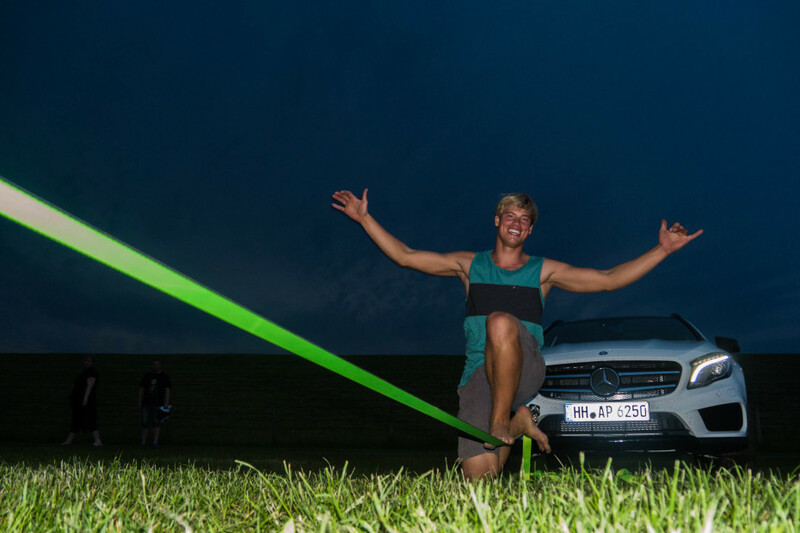 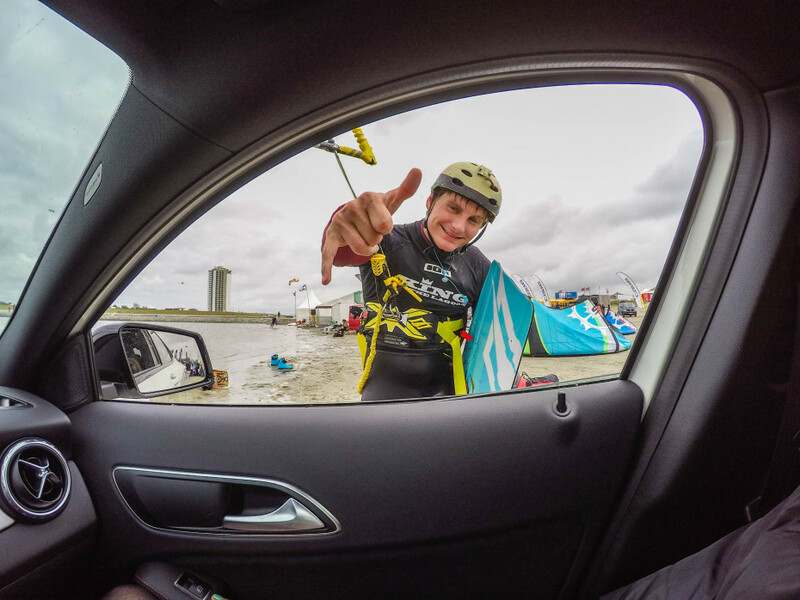 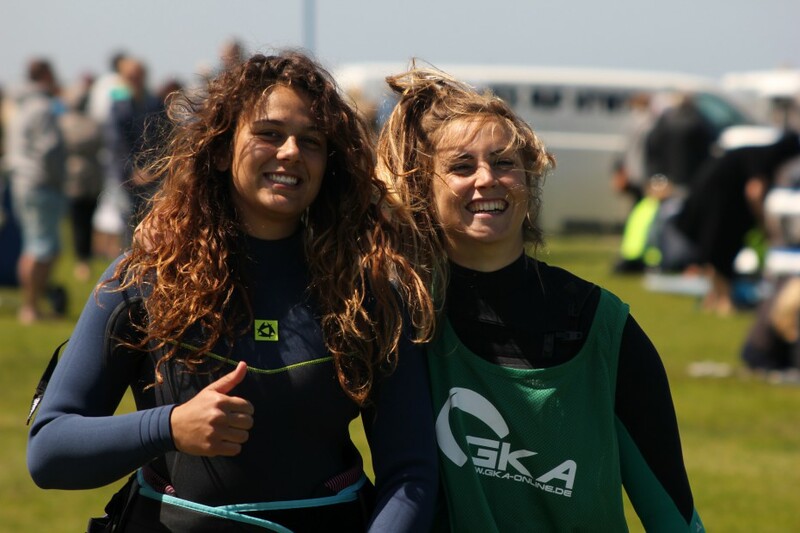 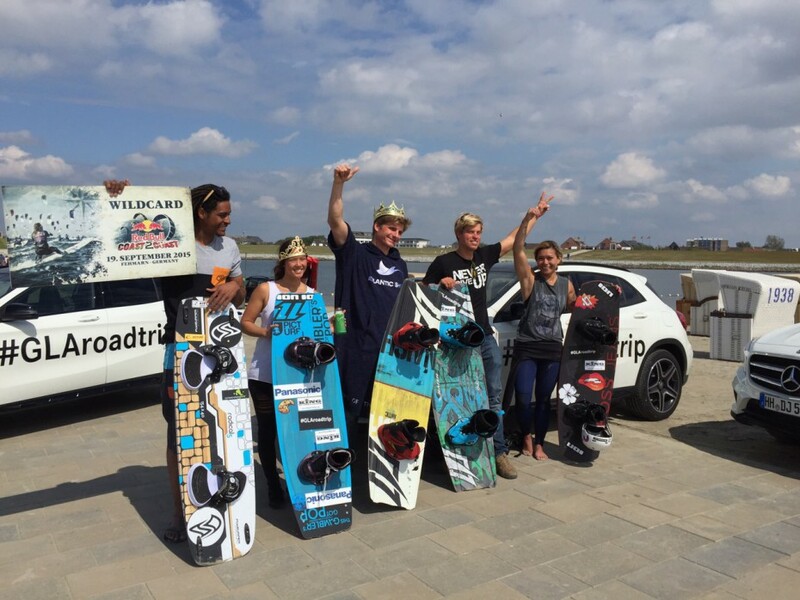 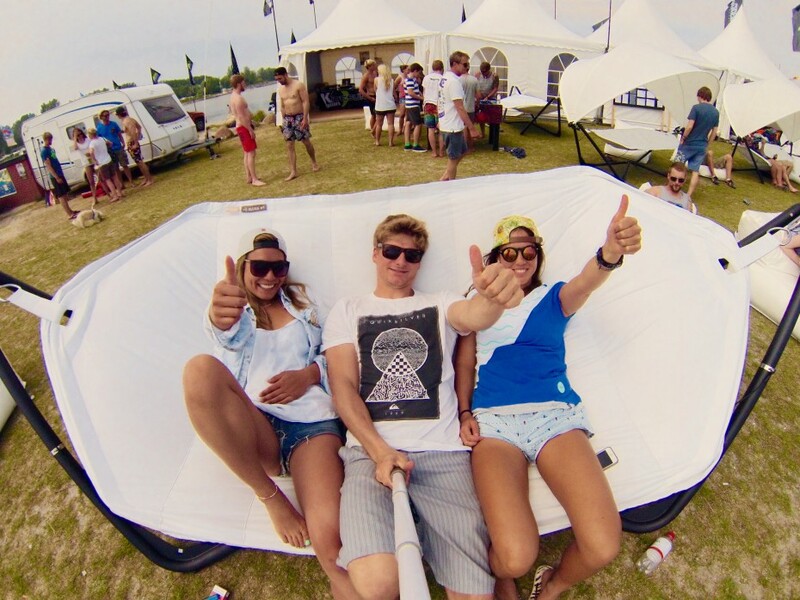 This week the Makulo crew was super excited for the Never Summer Kitesurf Masters on Wulfener Neck, in Fehmarn. 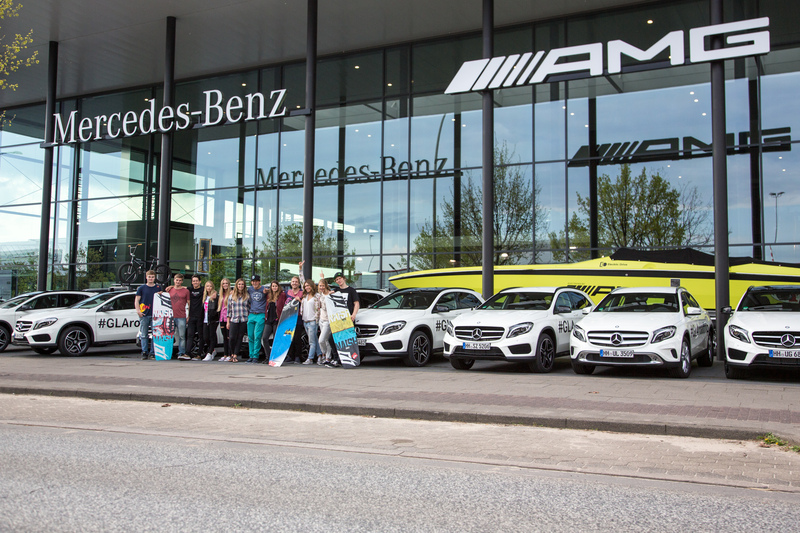 Riders came from all over Germany for the first tour stop of the official German Championship Series taking place in the Baltic Sea. 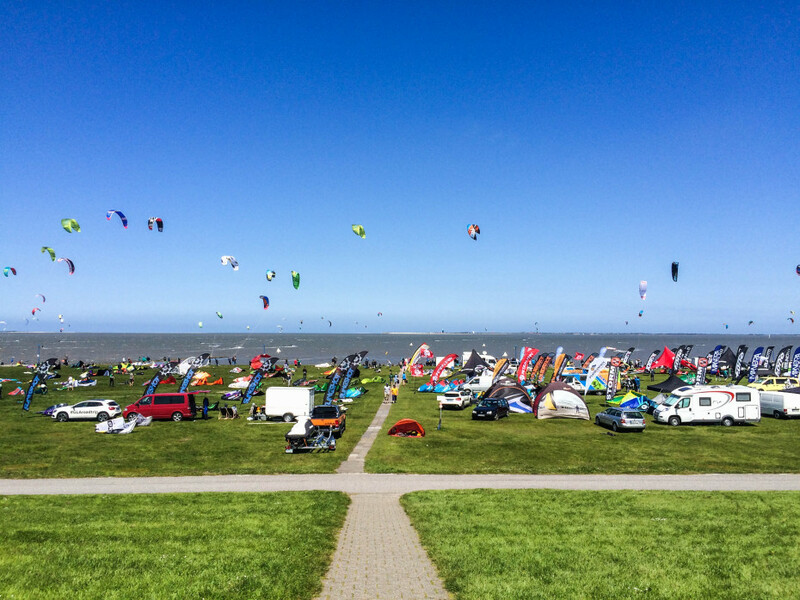 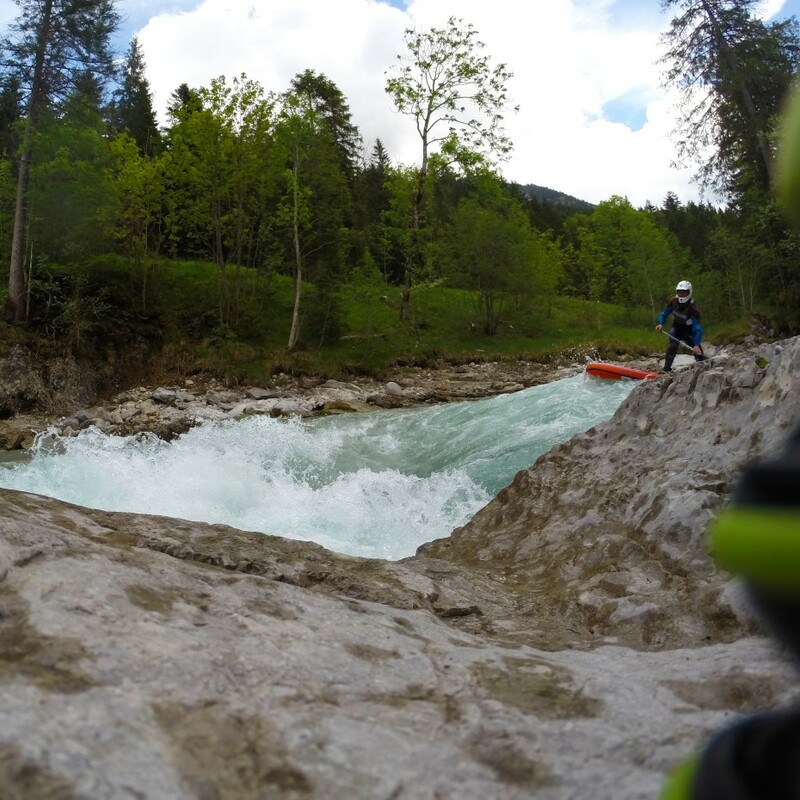 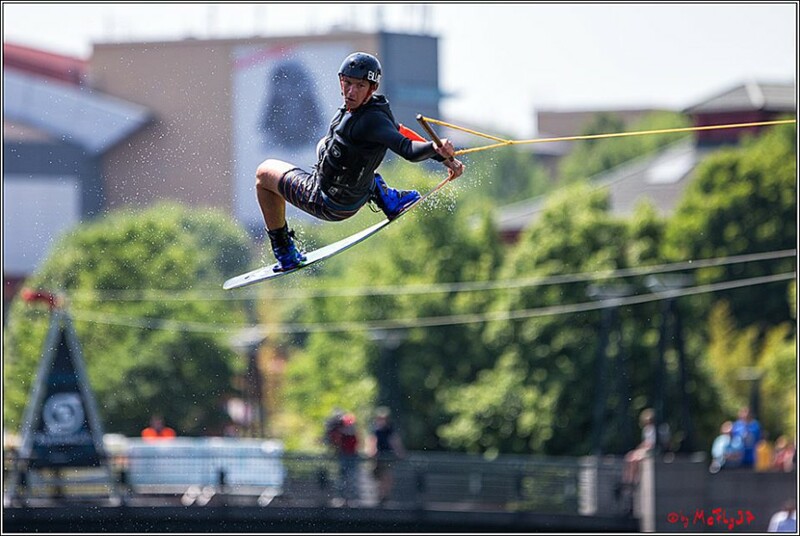 The event had everything and all conditions, sunshine, rain, light wind tow ups, strong wind and flat water for freestyle, consistent enough wind to get all the races complete and some sick parties for sure! 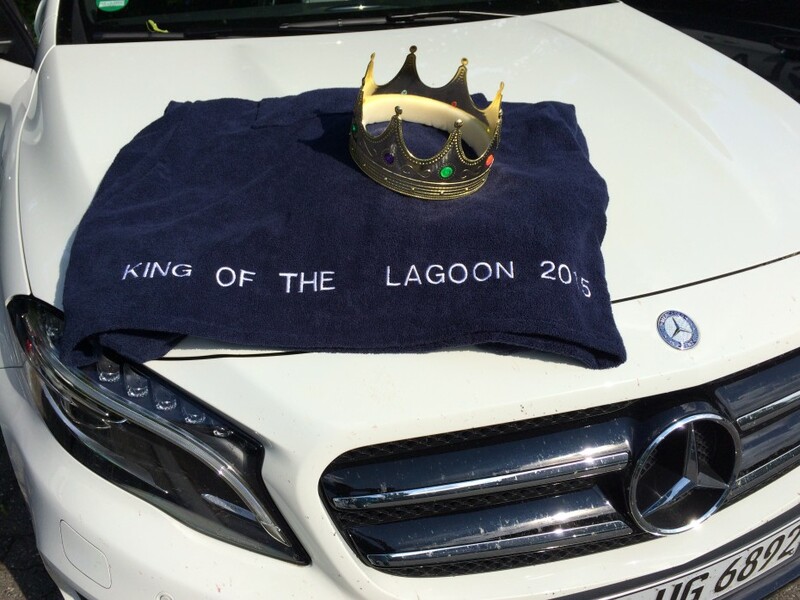 Several thousand visitors attended the spectacle and after that we cant wait for next week… time to cruise out to King of the Lagoon which is going to be a guaranteed good time! 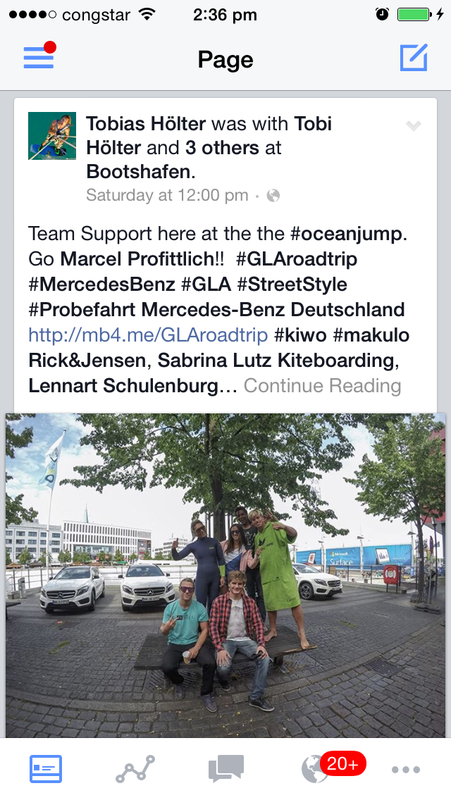 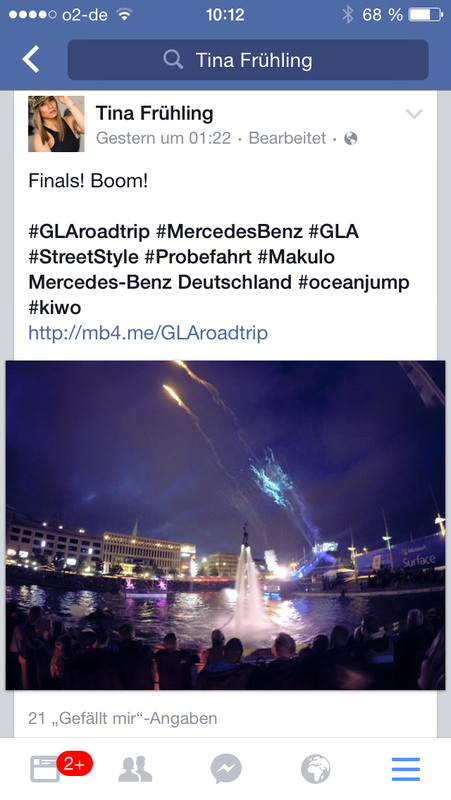 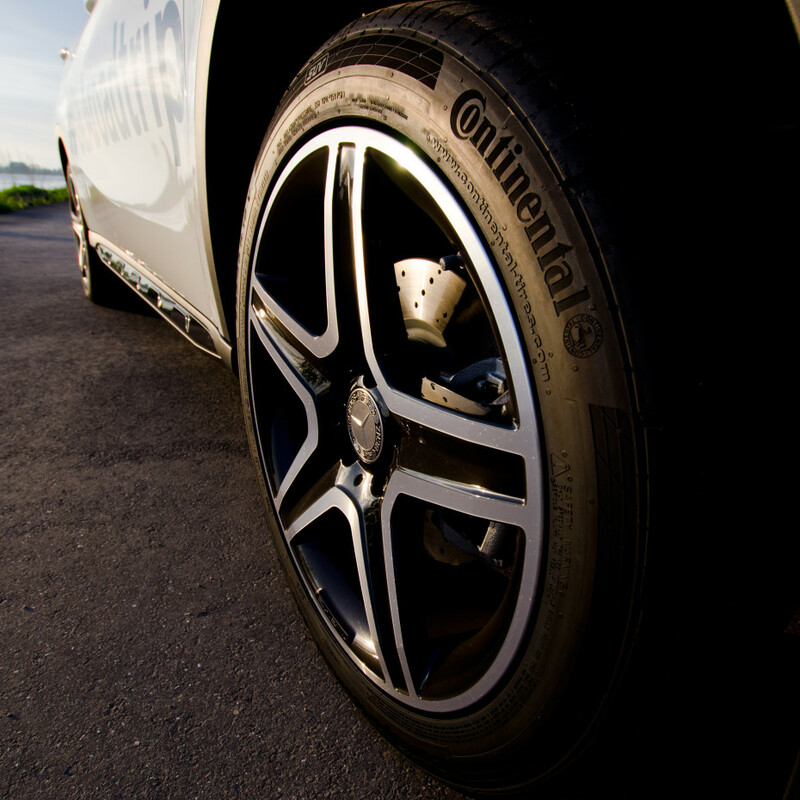 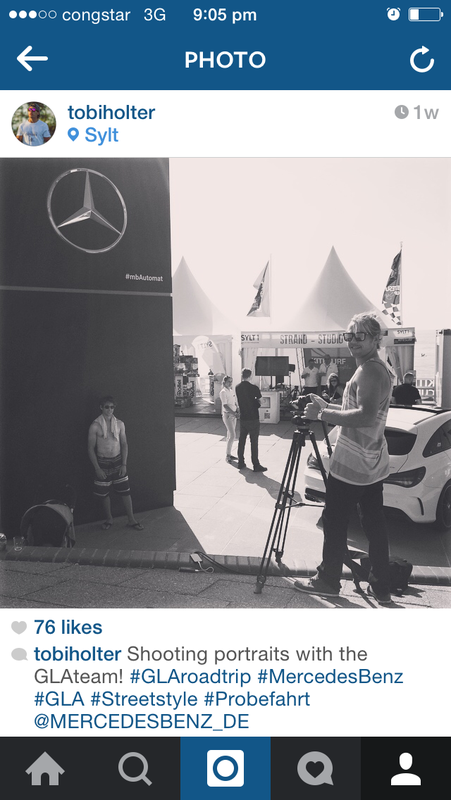 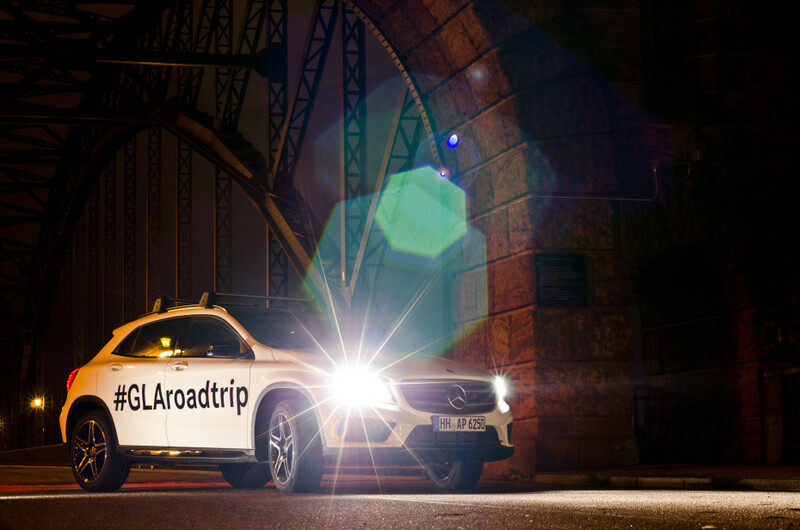 Hopefully see you there, keep an eye out for the Makulo crew in the #GLAroadtrip Mercedes. 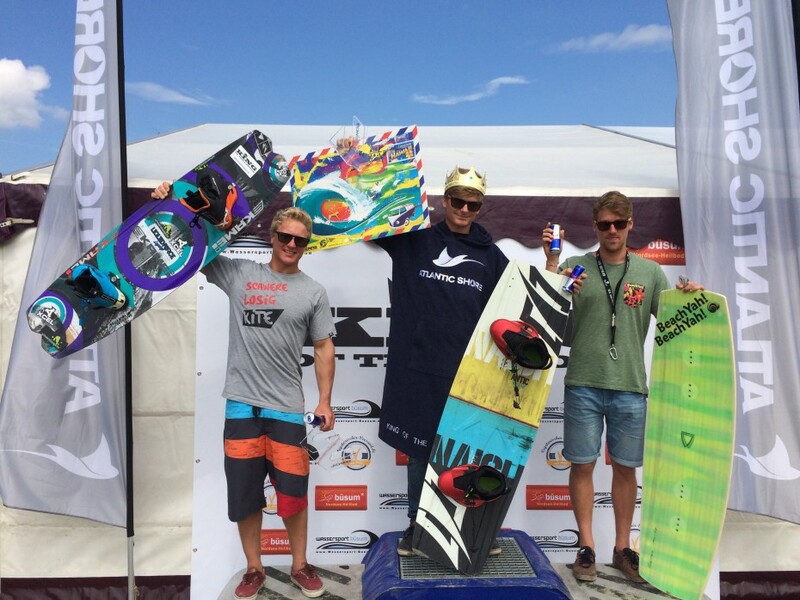 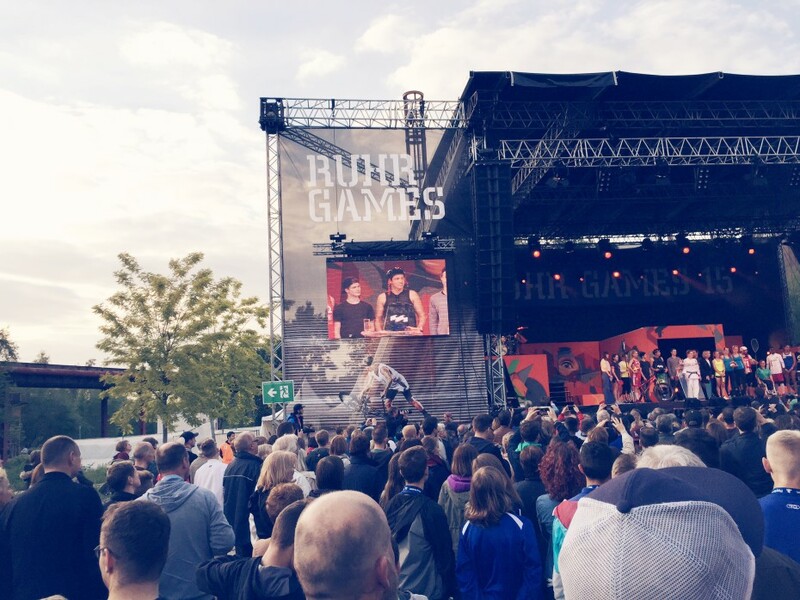 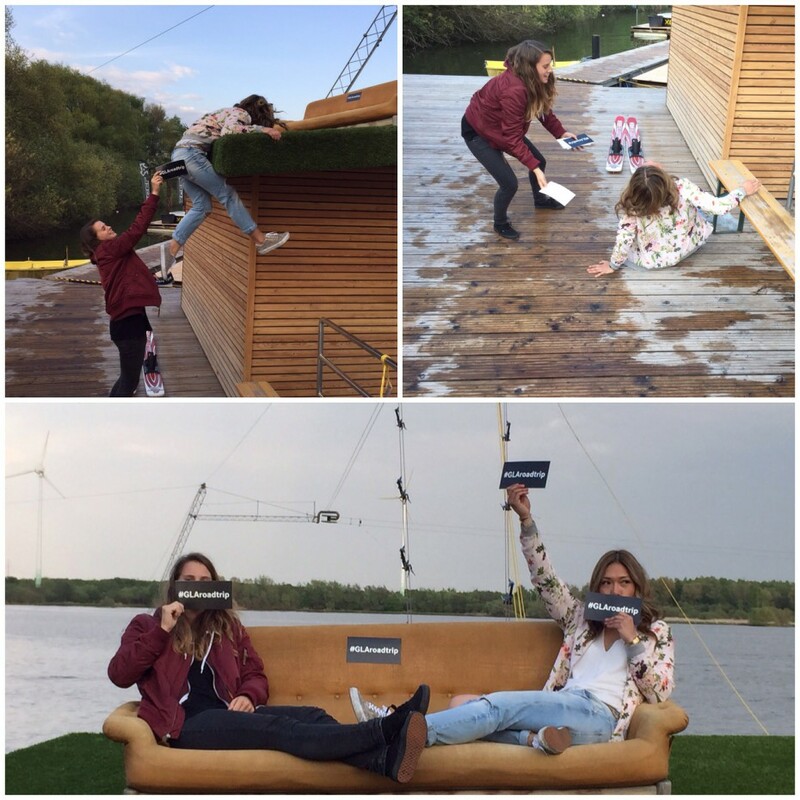 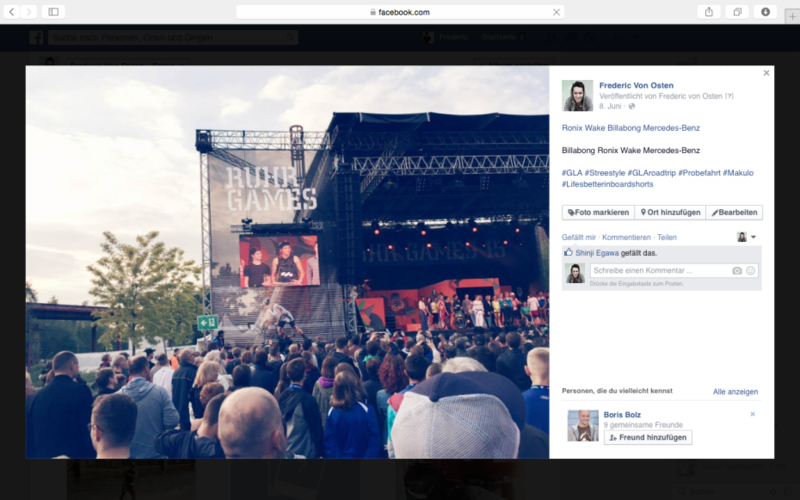 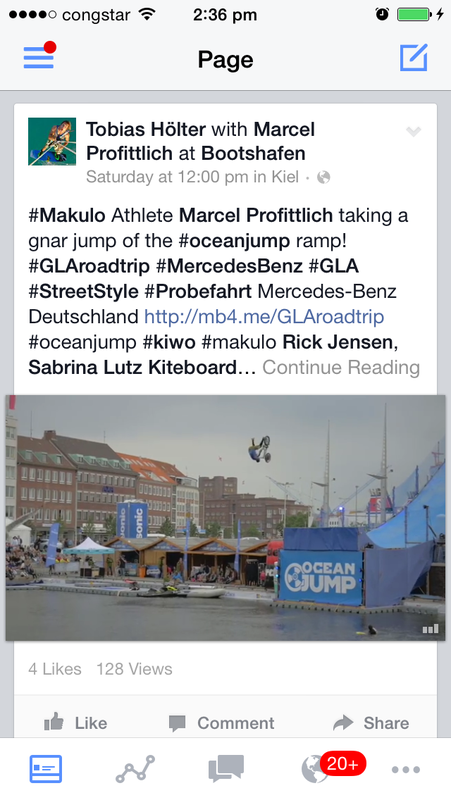 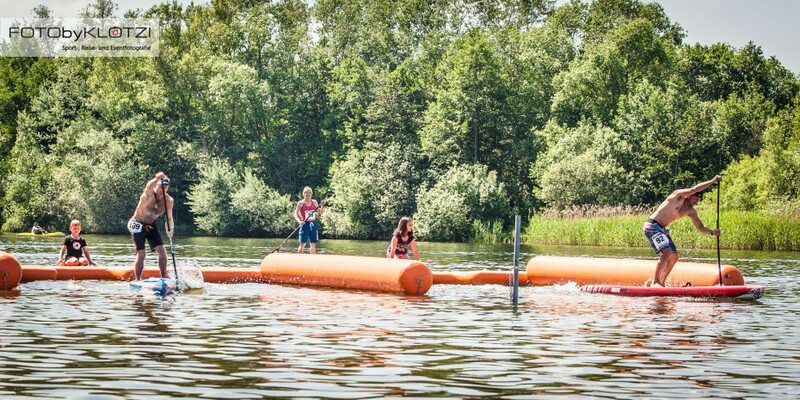 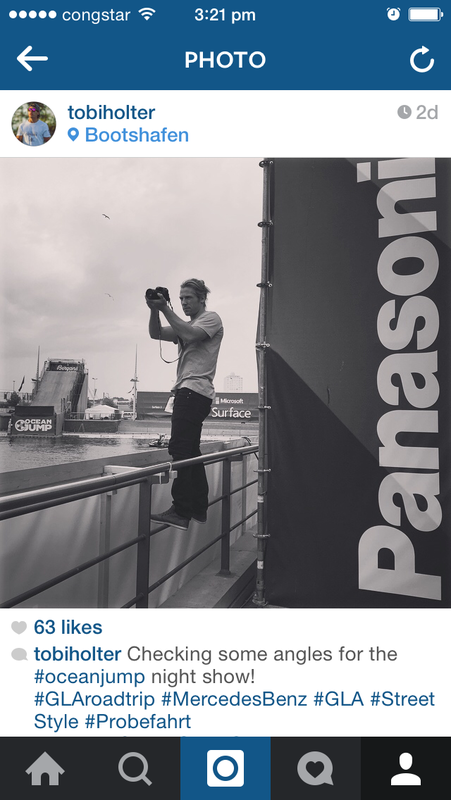 This week the Makulo crew was all over the King of the Lagoon event in Büsum, Germany. 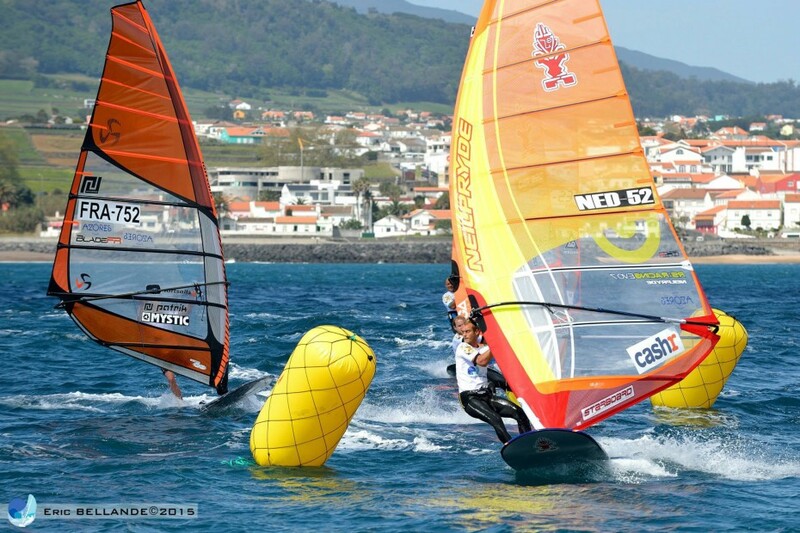 With perfect weather conditions the athletes got a lot of time on the water. 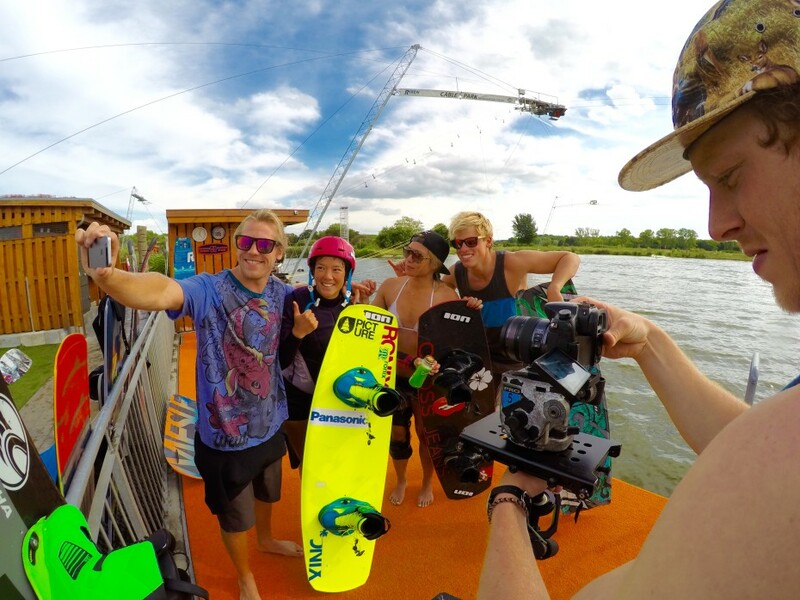 Being focused on wake style / park riding the King of the Lagoon was an event the Makulo athletes knew they could do well at. 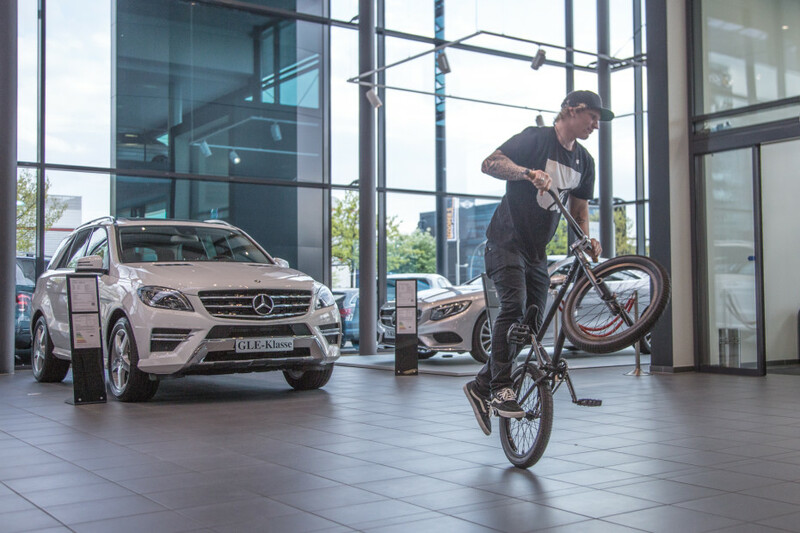 Legendary German style master Rick Jensen was definitely a favorite going into the event and did not disappoint, landing his signature tricks with ease putting him straight into 1’st place! 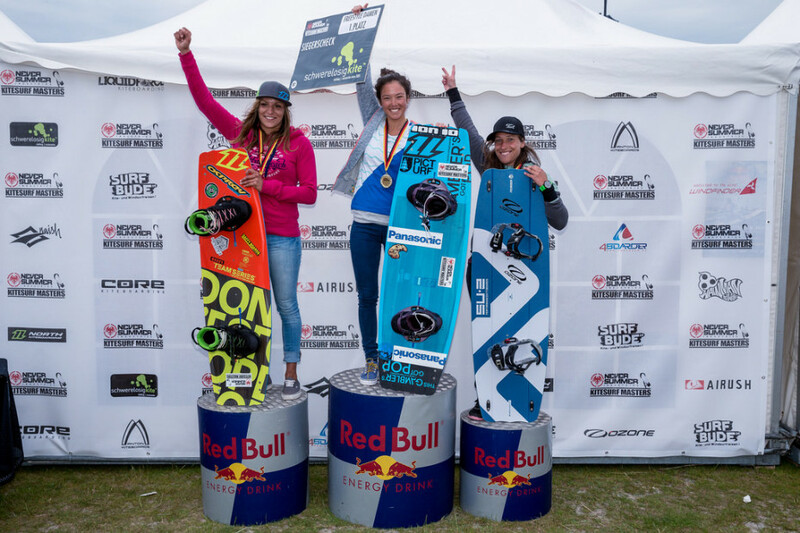 As well the Makulo girls weren’t just there to look pretty (although they seem to juggle both with ease) they wanted to shred and get up on the podium as well. 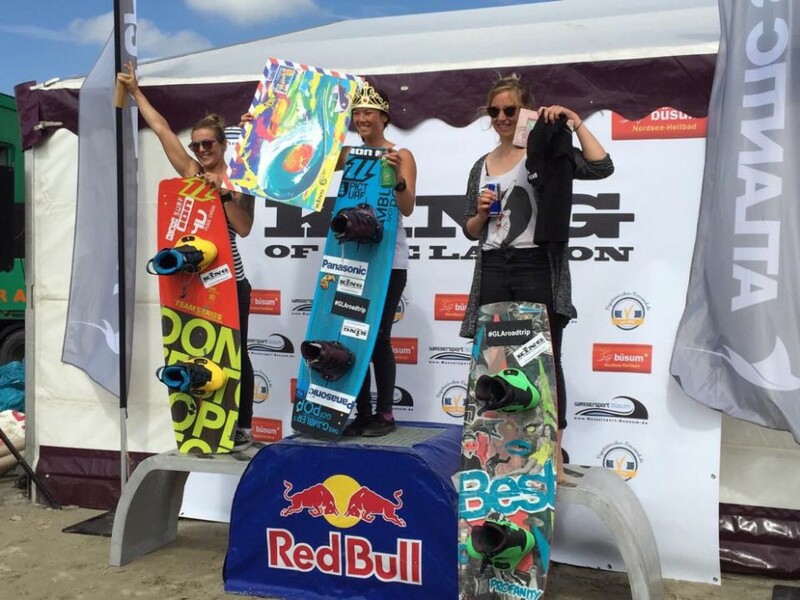 Team Rider Sabrina Lutz made it to the top while at the same time creating a lot of quality media with a genuine feel to it, she makes it look to easy! 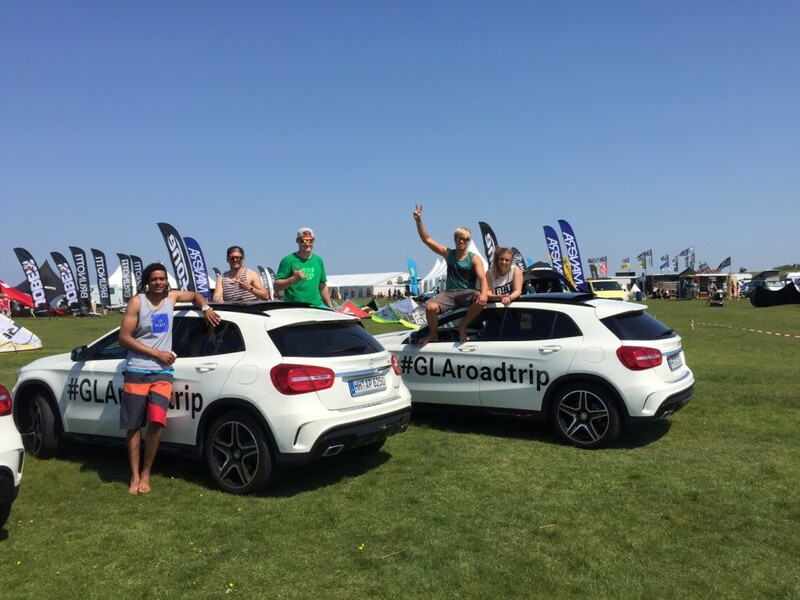 With such a success at King of the Lagoon the momentum is building going into the final week of the #GLAroadtrip. 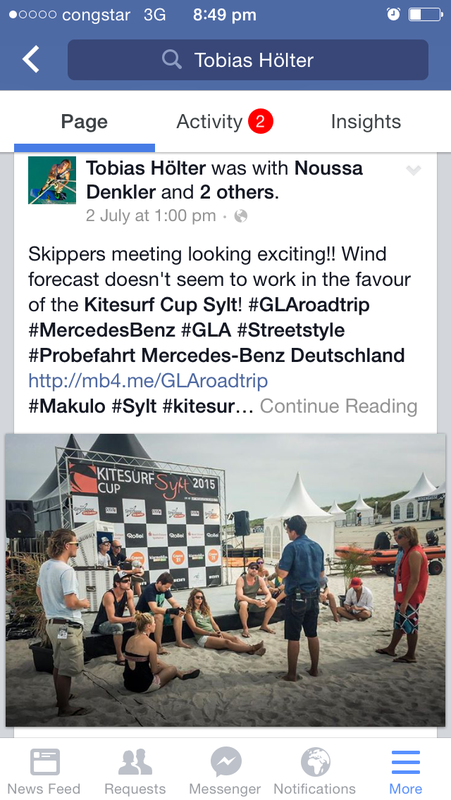 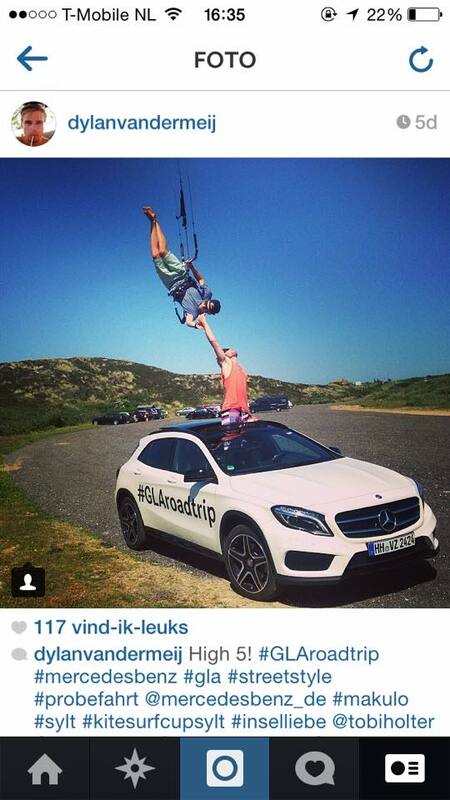 The last stop is going to massive, the Makulo crew will be cruising out to Sylt to blow the doors of the Kitesurf Cup! 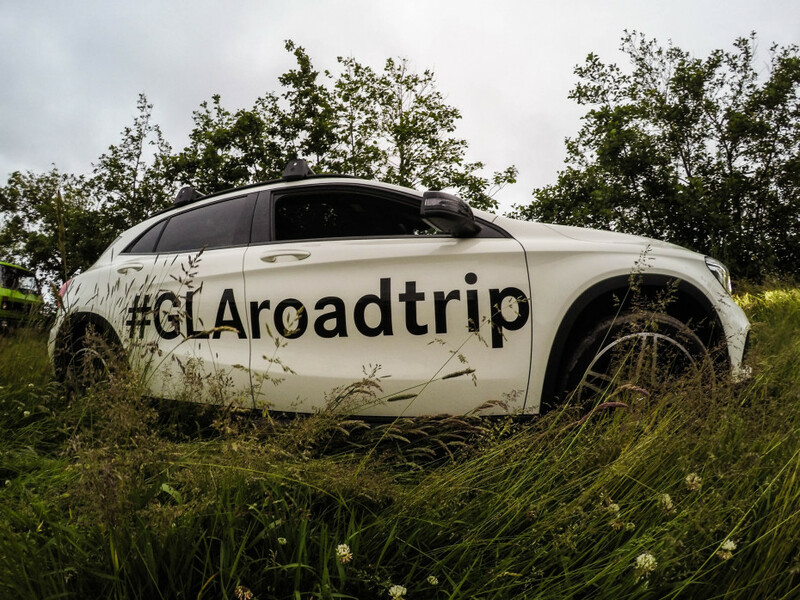 It’s been a long journey on the #GLAroadtrip. 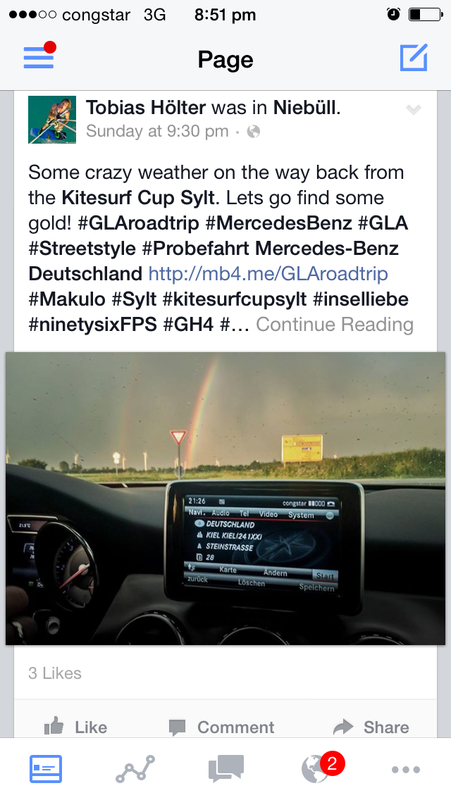 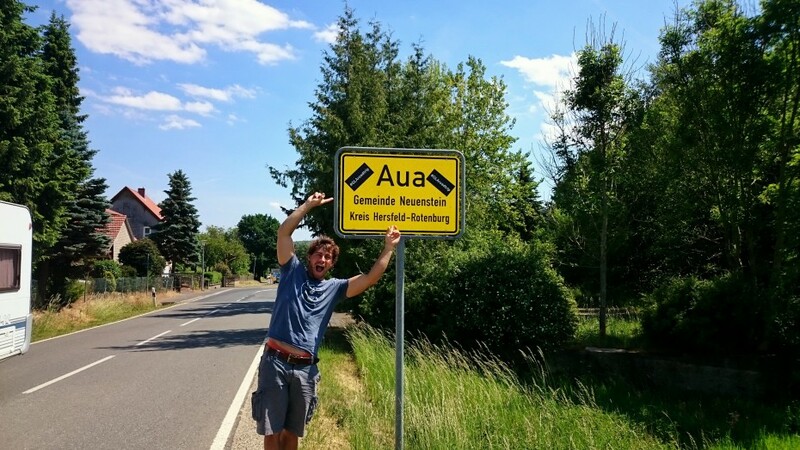 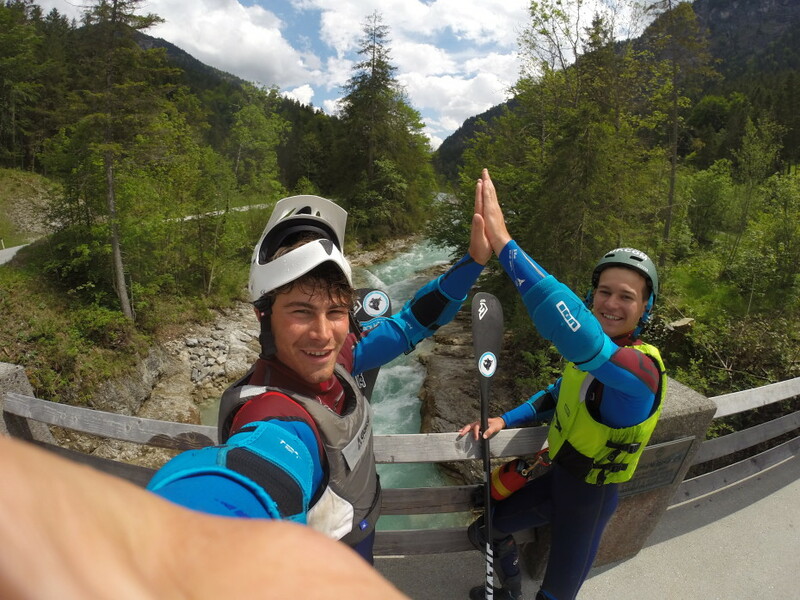 The Makulo crew has been all over Germany racking up km’s checking in to different events every weekend. 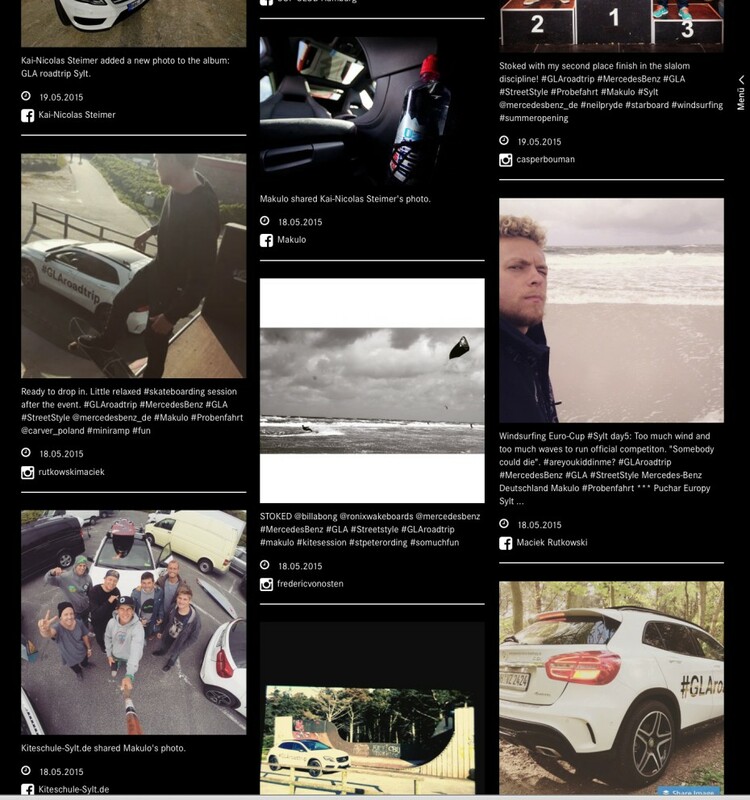 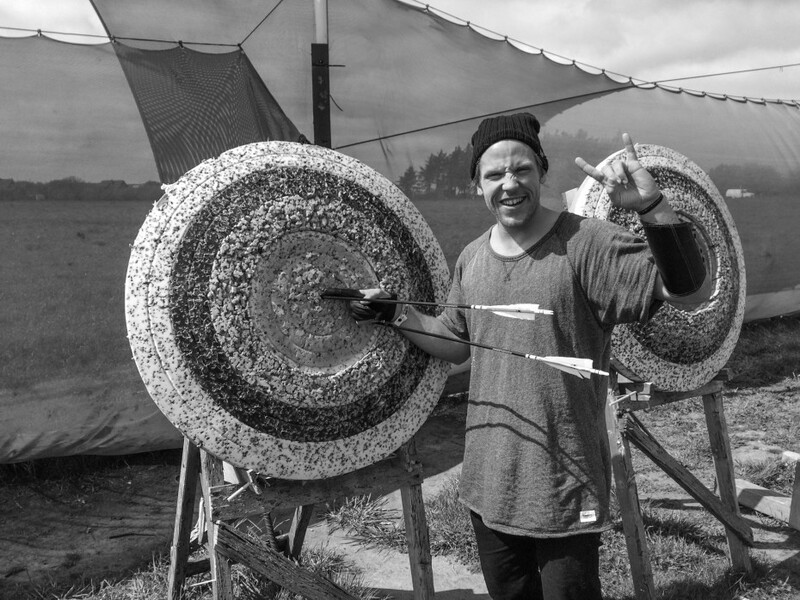 Riding hard, meeting new people, catching up with old friends and snapping clips along the way, just doing their thing and creating a lot of quality social media content at the same time! 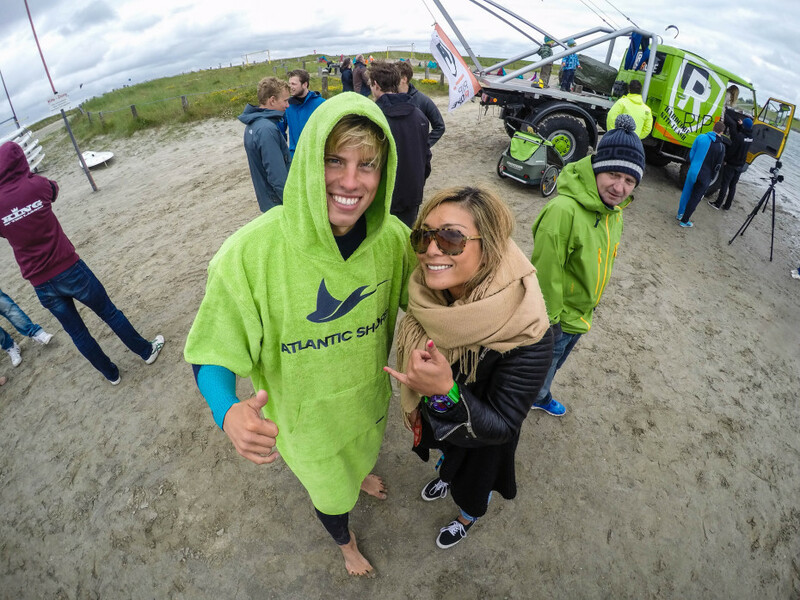 Starting in Hamburg and ending this week in Sylt it has definitely been a blast and a huge success with a massive reach. 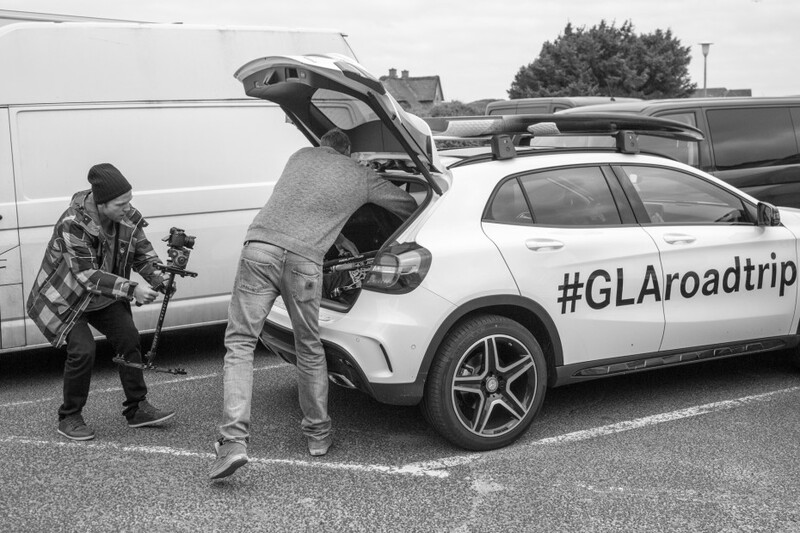 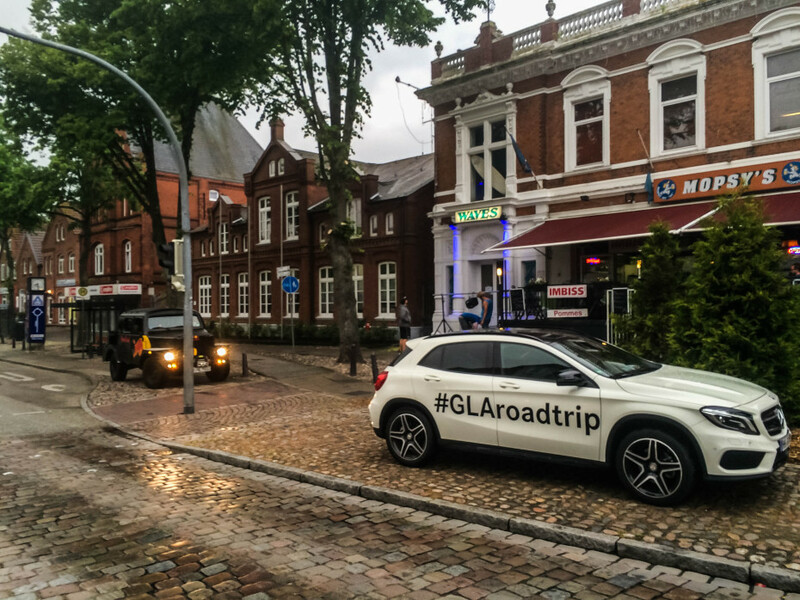 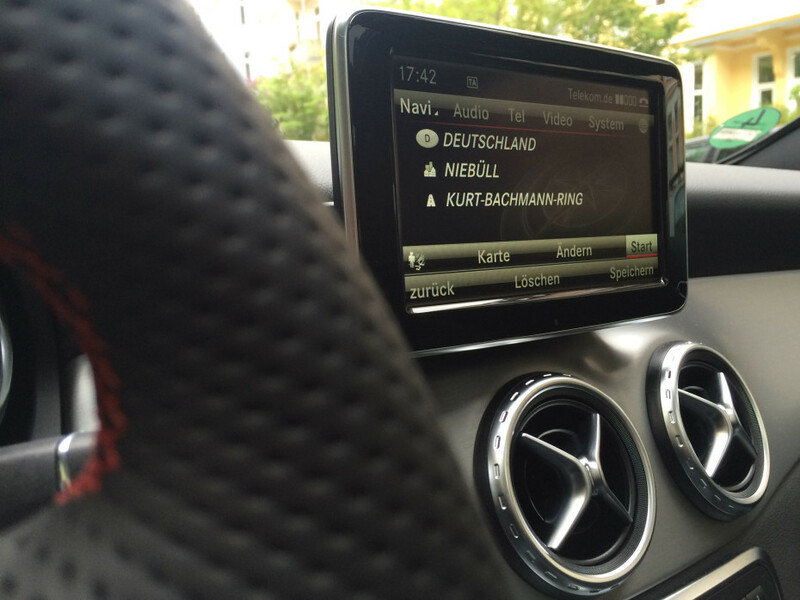 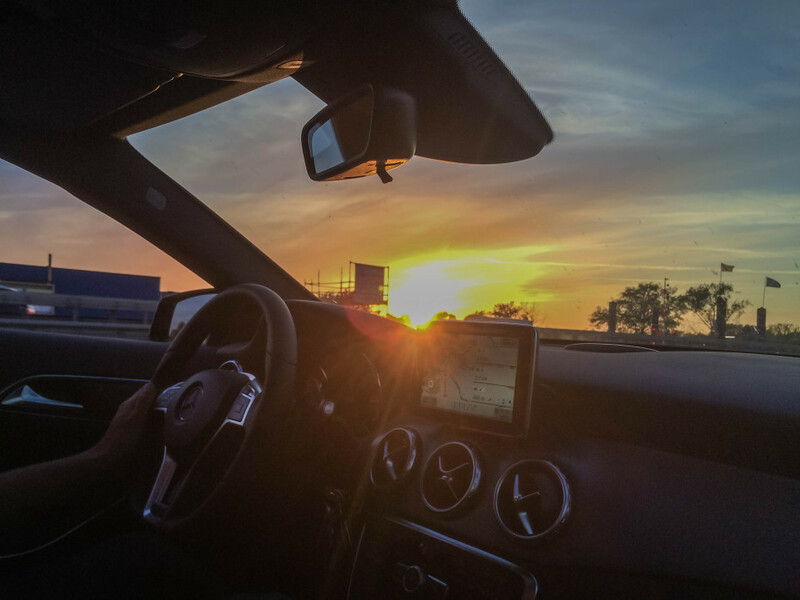 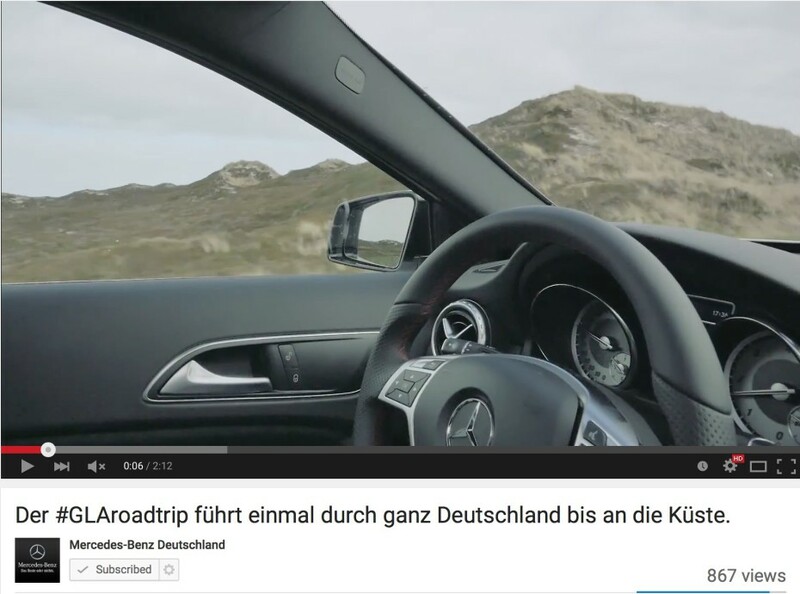 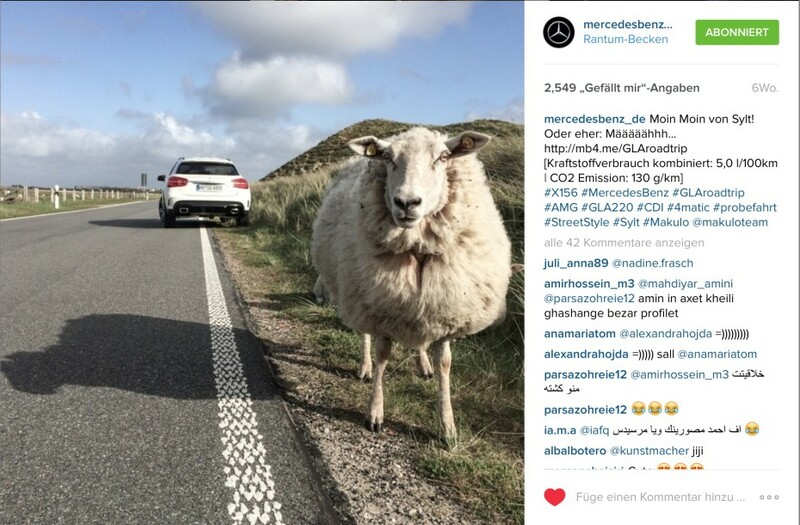 Check out #GLAroadtrip for more from the trip, www.makulo.com to see what we’re up to next and www.merecedes-benz.de for more on the GLA.